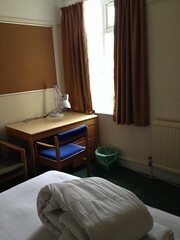 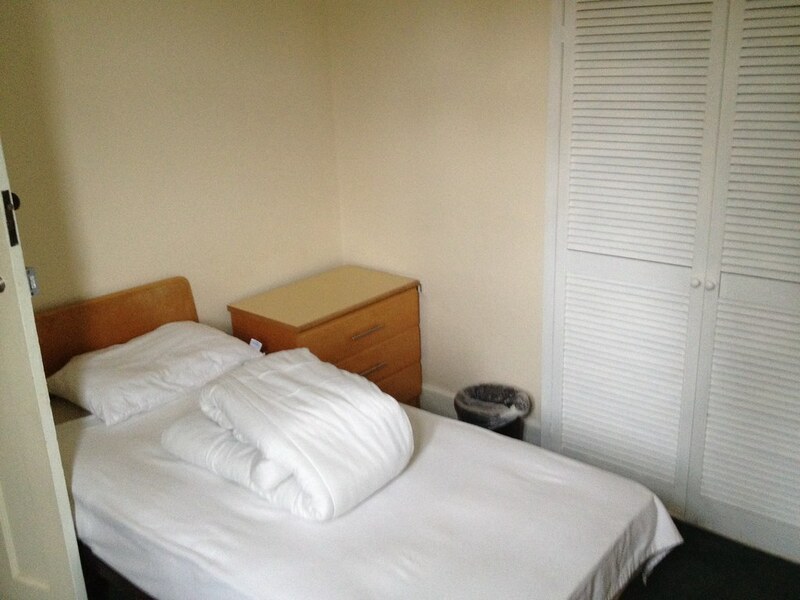 Here we hope to give a brief overview of some of the available MCR accommodation. 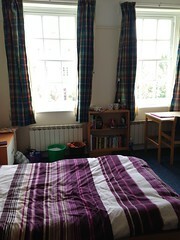 Below you will find a list (in the order they appear in the MCR accommodation table) of the houses with some details and pictures where available. 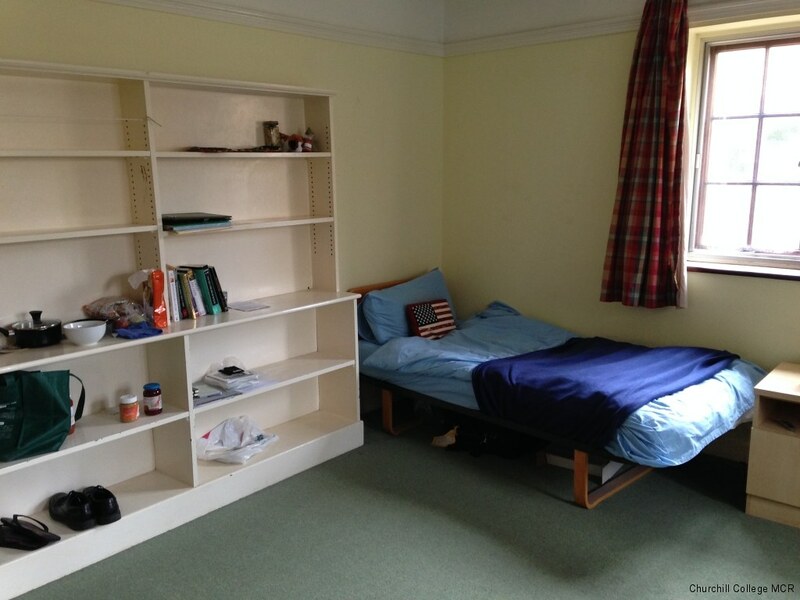 Note that much of the information is available also on the official College MCR accommodation web-pages, with an easy to digest format. But nonetheless we hope we can make it even easier for you to find out what accommodation there is and make an informed decision about which rooms look appealing for your needs! 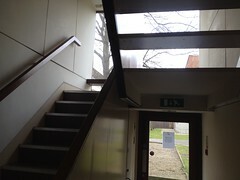 Clicking onto the name of house/hostel/staircase directly will take you to the official Churchill College description of the housing on offer, whilst clicking on any pictures will bring up a slideshow of images for larger viewing (apologies in advance for any low-quality camera shots and humours attempts to use panoramas). 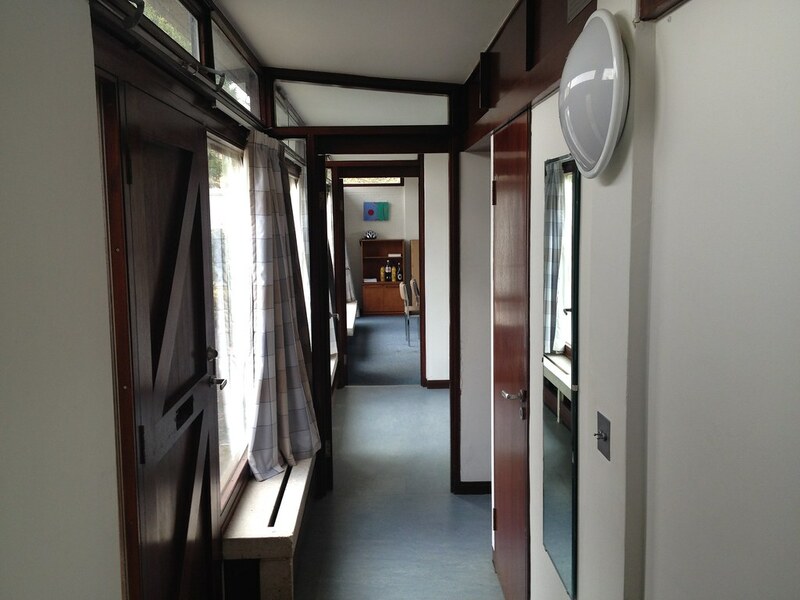 Please note the ballot opening and closing times: Churchill College Ballot for Rooms 2018-19, and keep an eye on the MCR webpage where the link to the ballot will be. 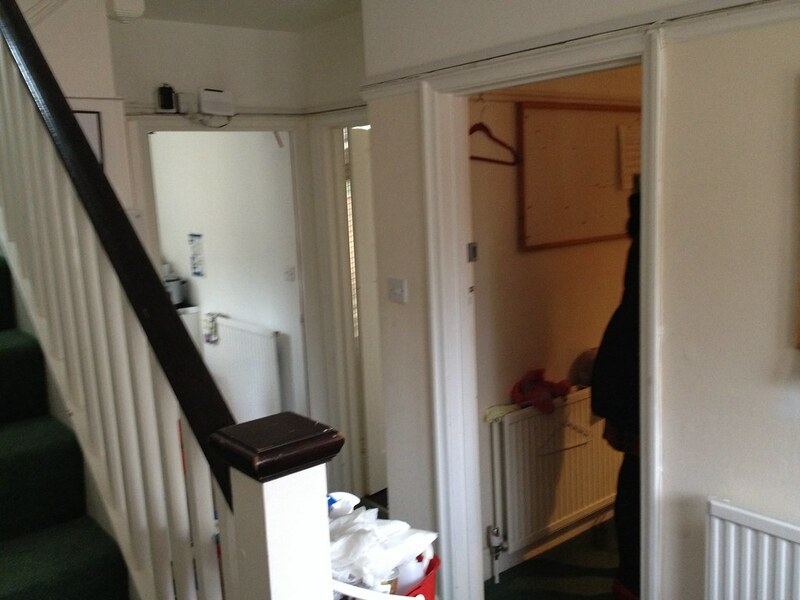 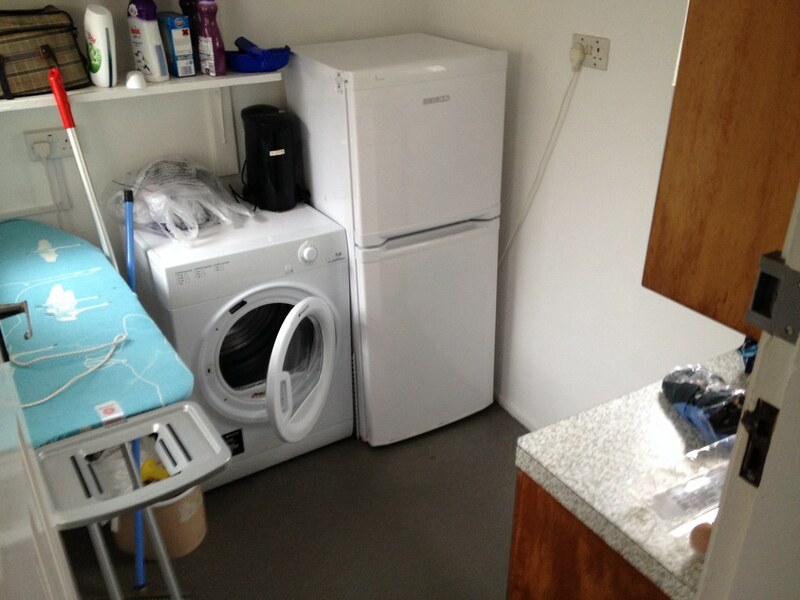 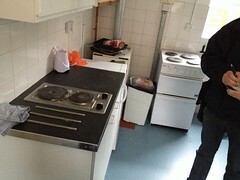 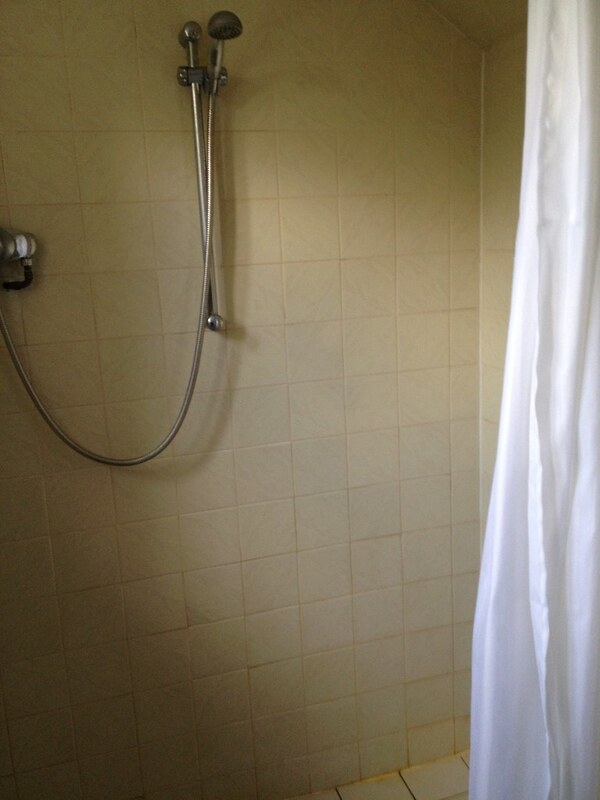 12 rooms – ‘snack’ kitchen shared roughly between 8 – shower room roughly between 4. 16 rooms – kitchen shared roughly between 8 – shower room roughly between 4.
aka ‘ the Pepperpots’; 10 rooms in each house – all ensuite – large kitchen and communal area shared per house. 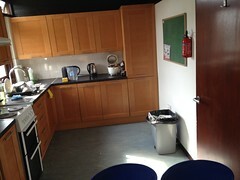 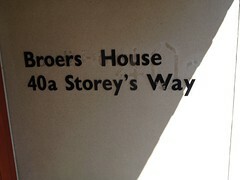 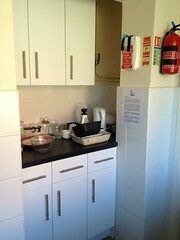 Note Broers House has a downstairs kitchen well suited for individuals with accessibility needs. 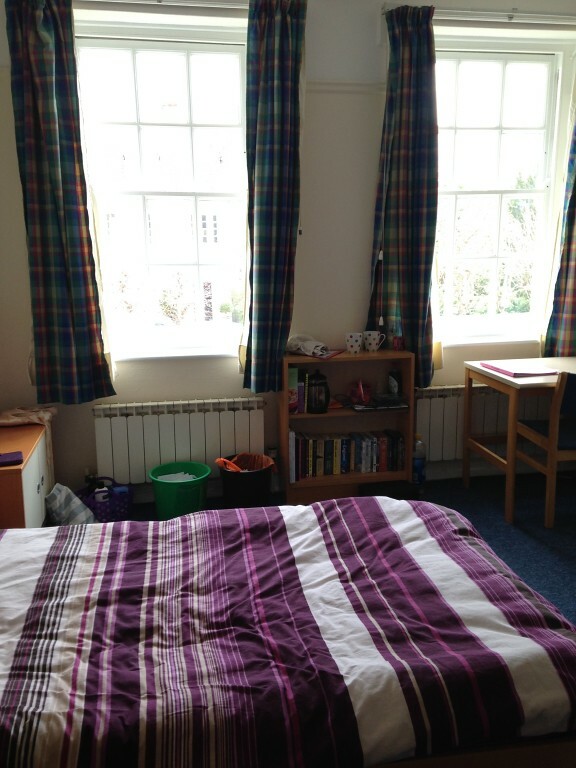 College also is flexible with fitting couples into the Pepperpots (as rooms are spacious), enquire with College if interested. 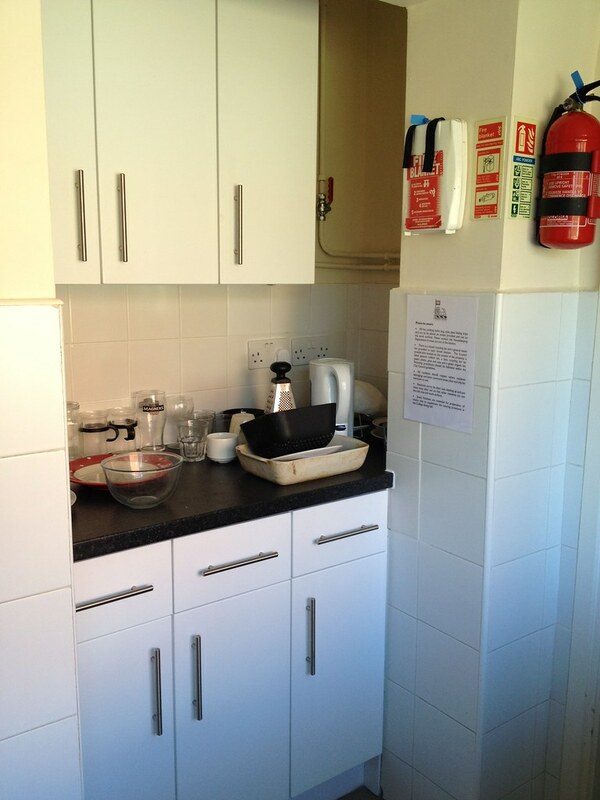 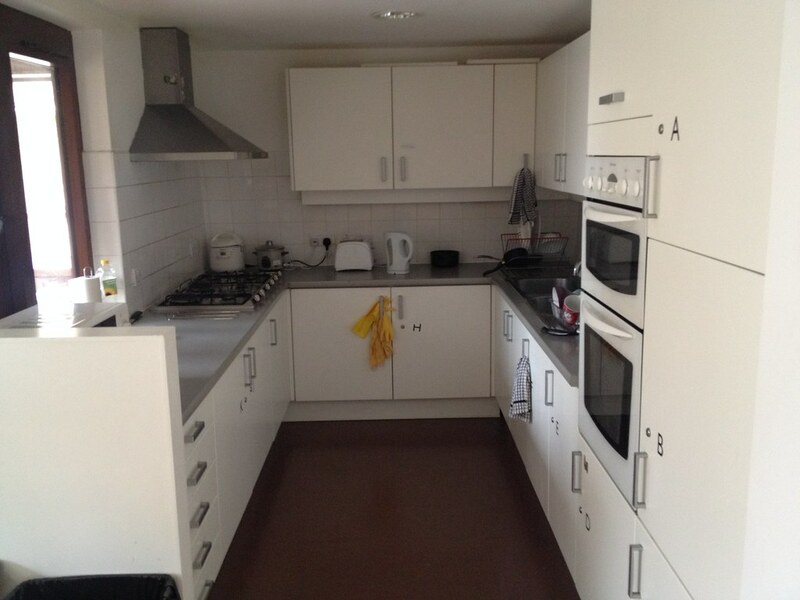 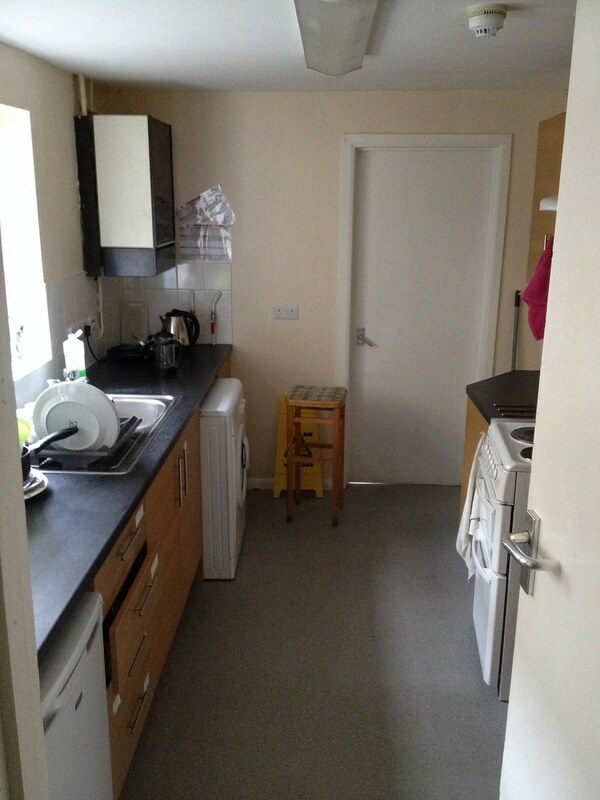 5 and 3 rooms respectively – shared kitchen in each – shared bathrooms. 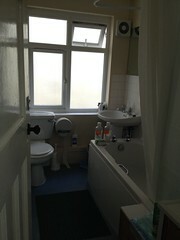 Typically 2 types of layout (downstairs and upstairs) – 3 rooms per flat – shared kitchen/bathroom – balcony for upstairs rooms. Very well suited for group ballot entries. 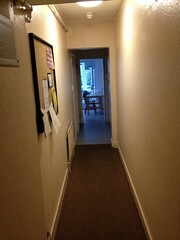 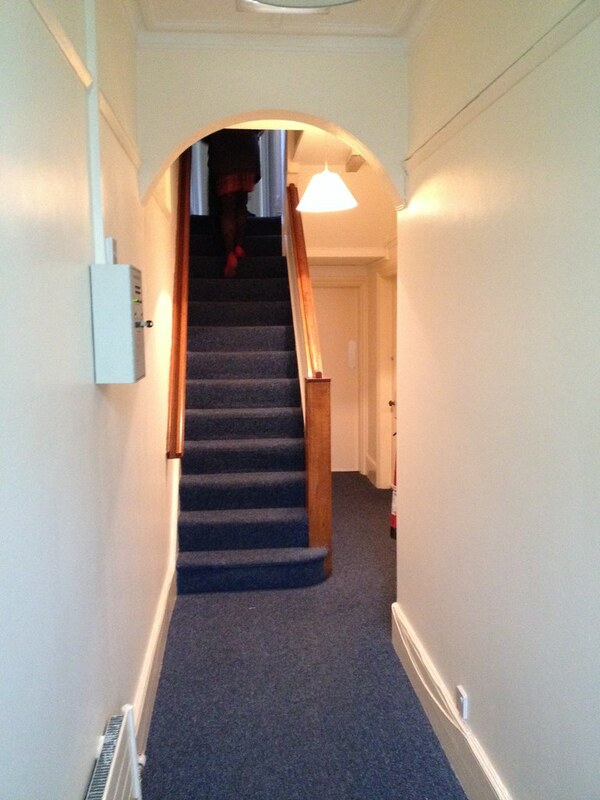 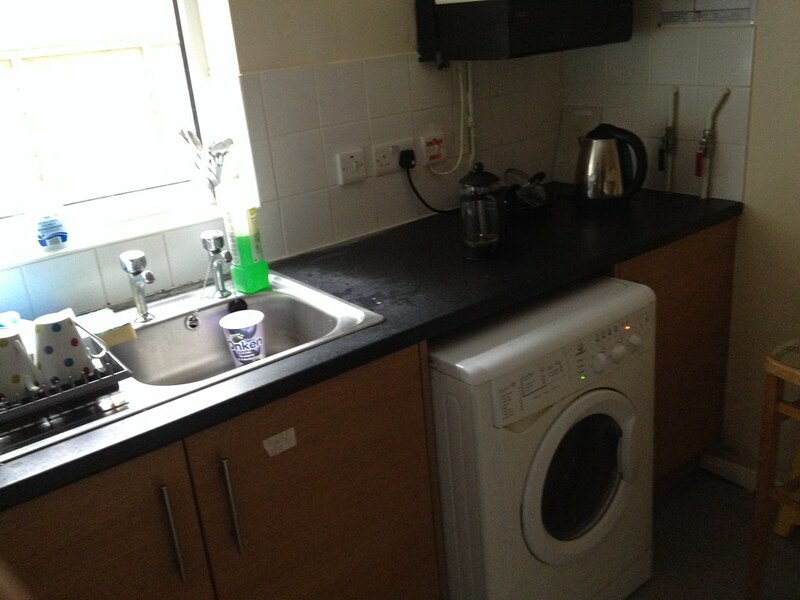 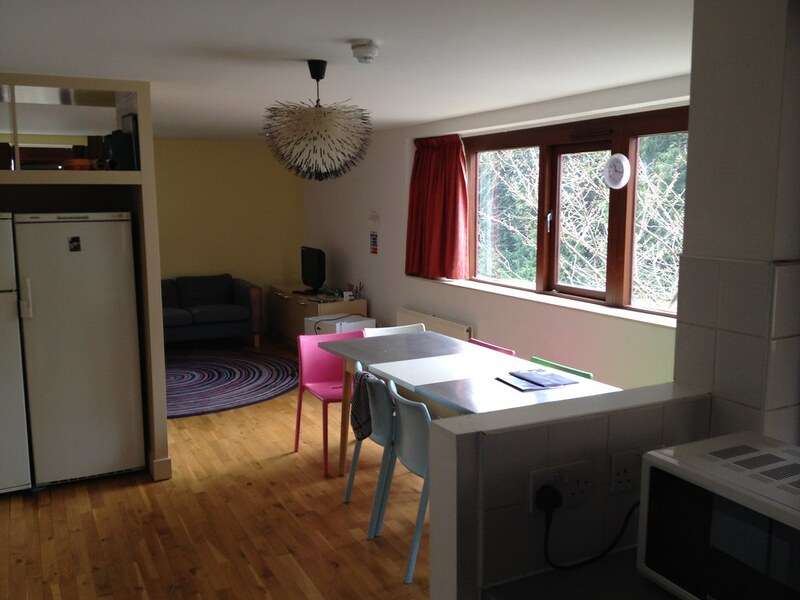 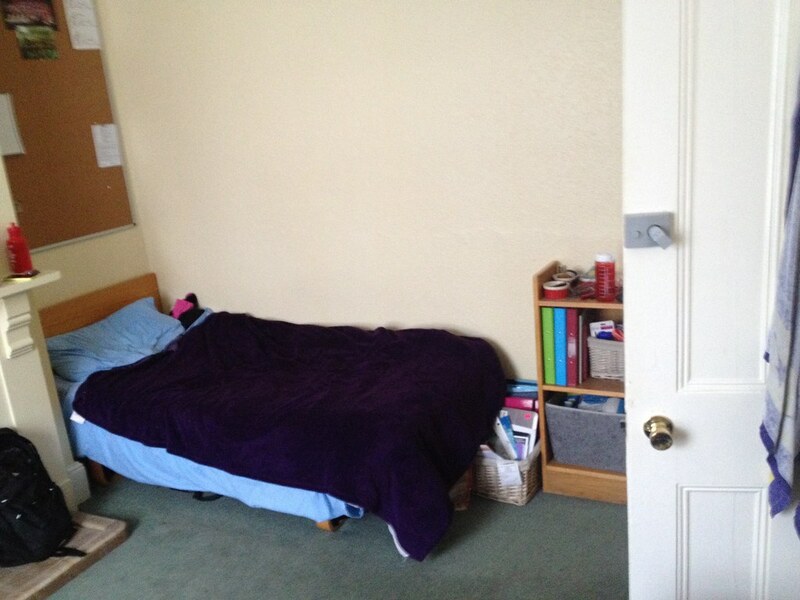 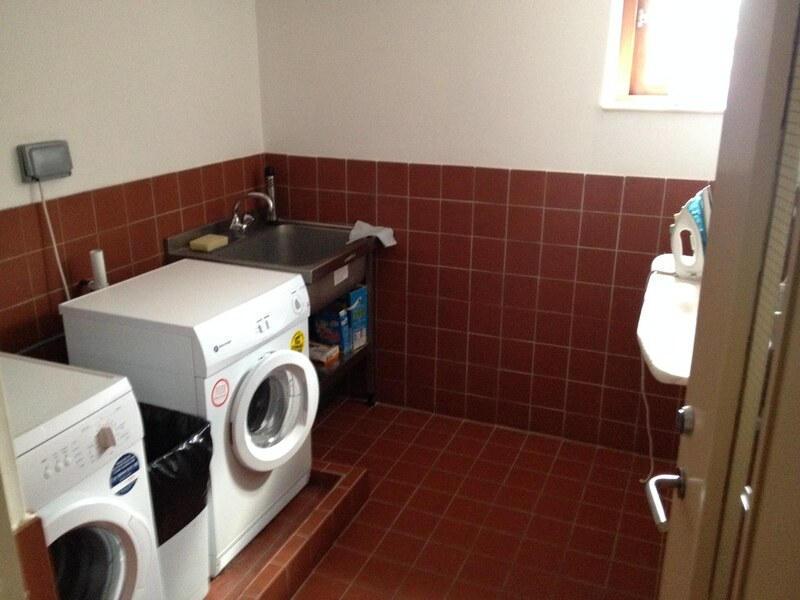 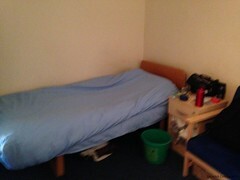 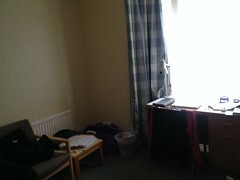 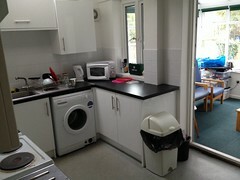 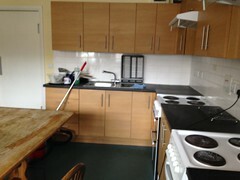 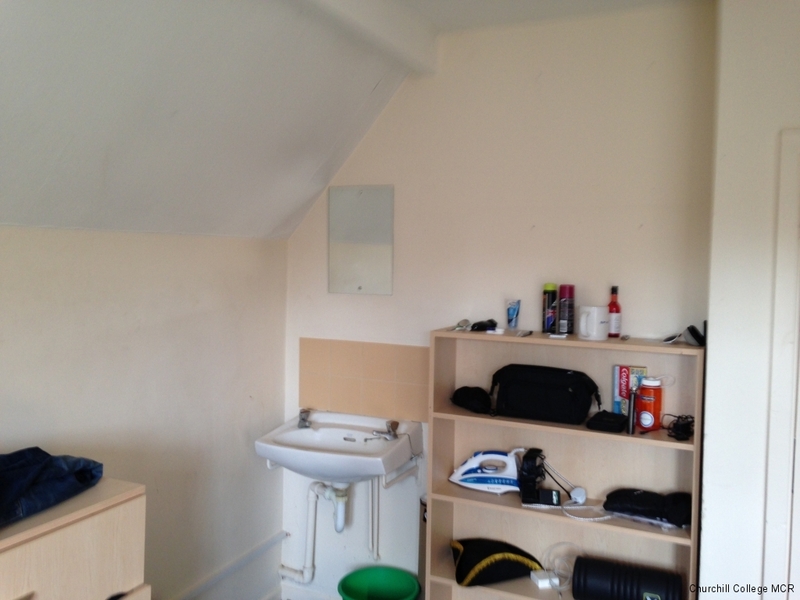 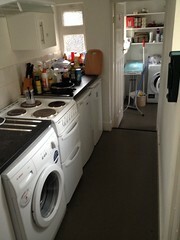 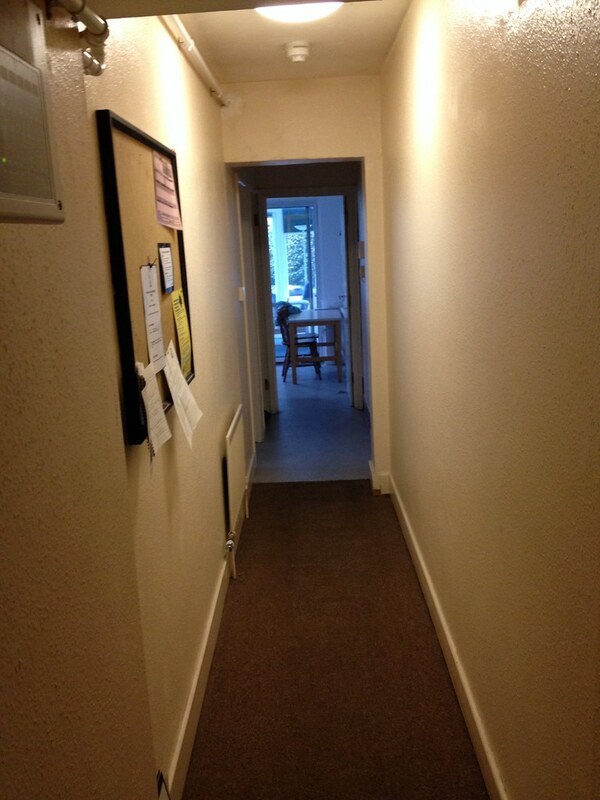 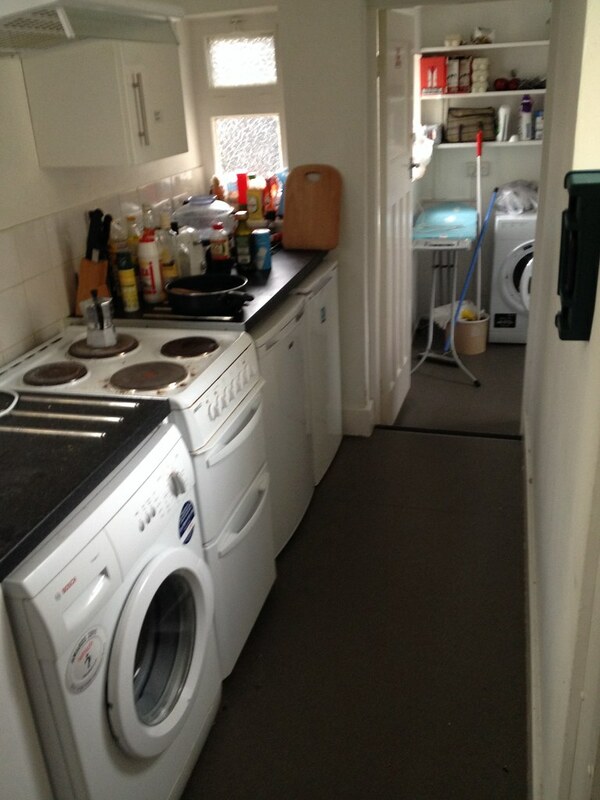 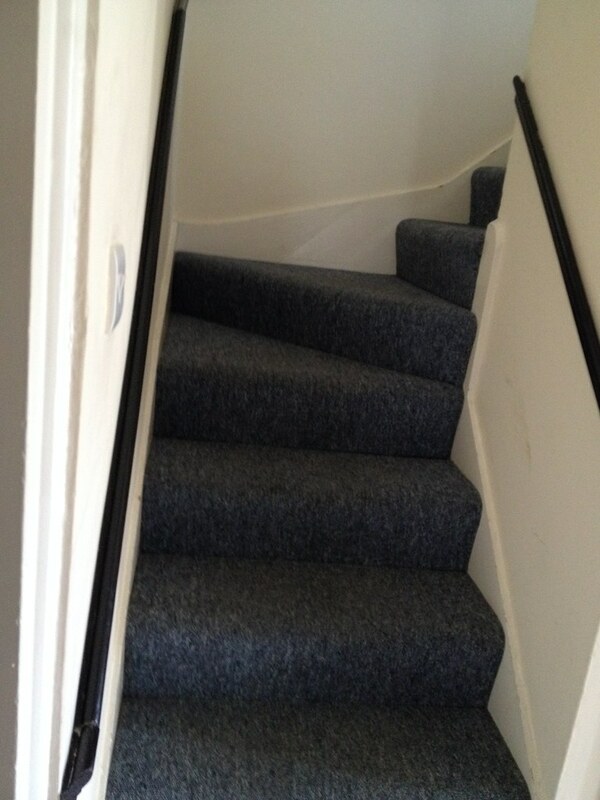 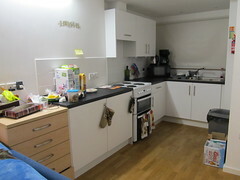 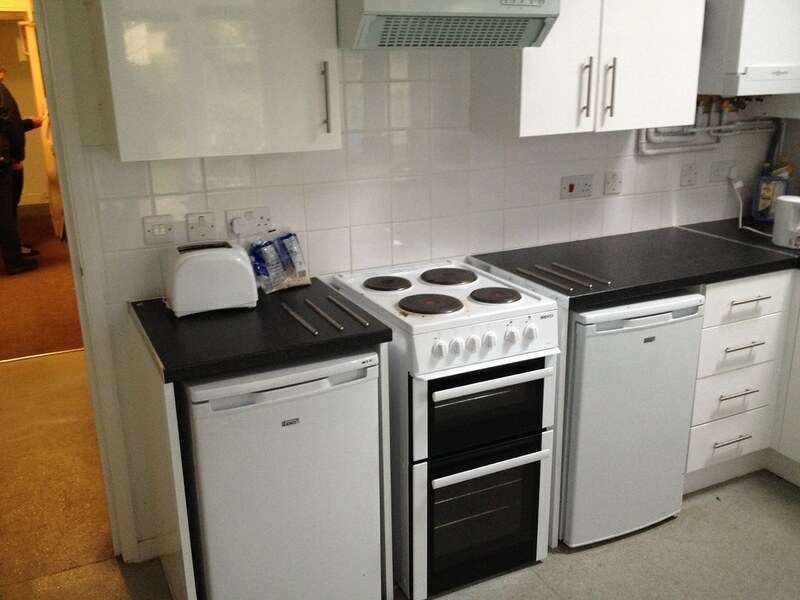 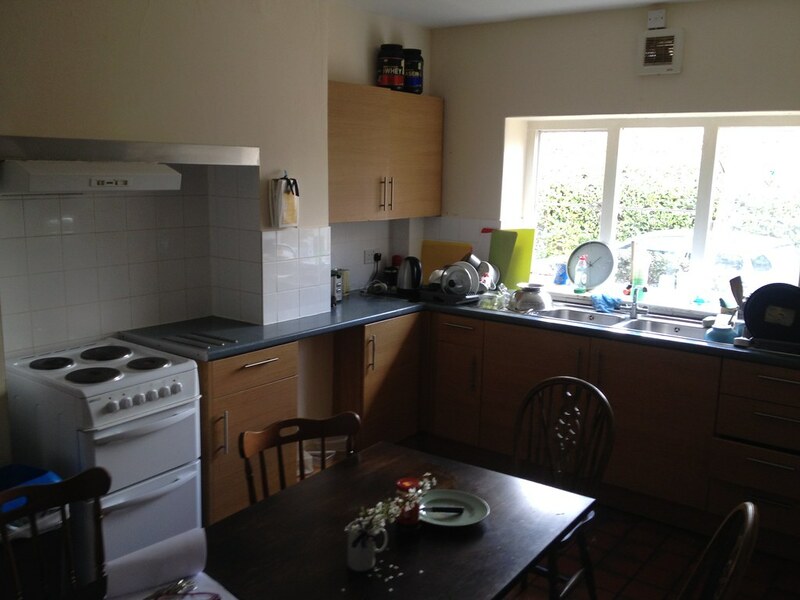 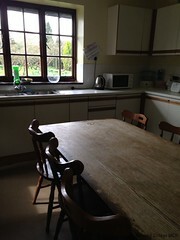 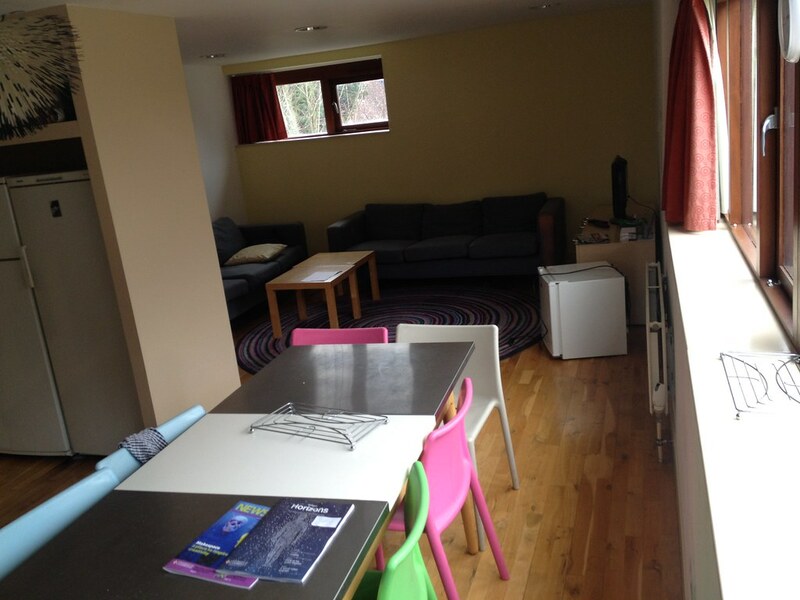 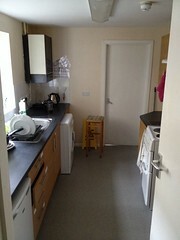 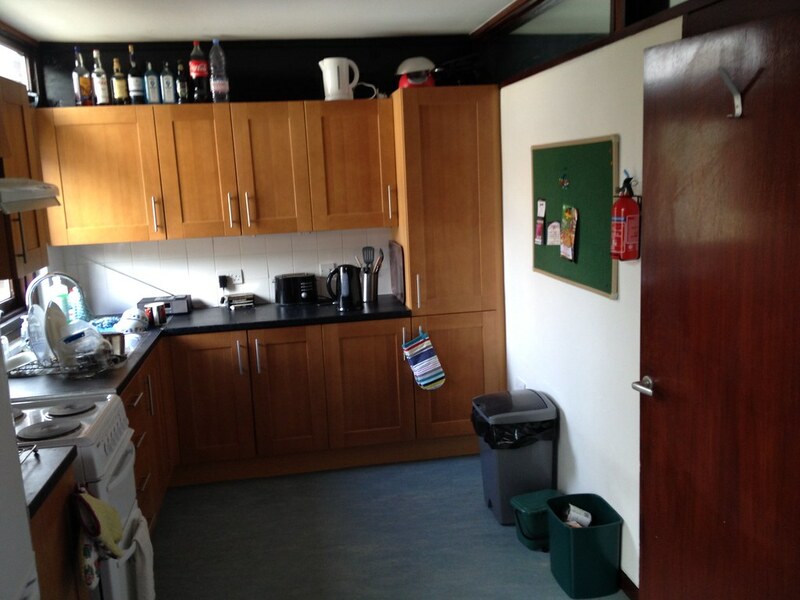 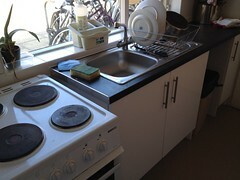 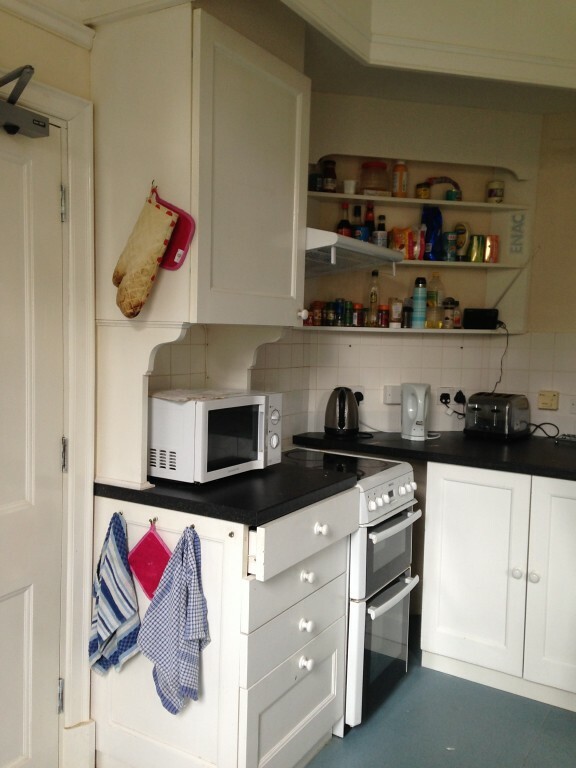 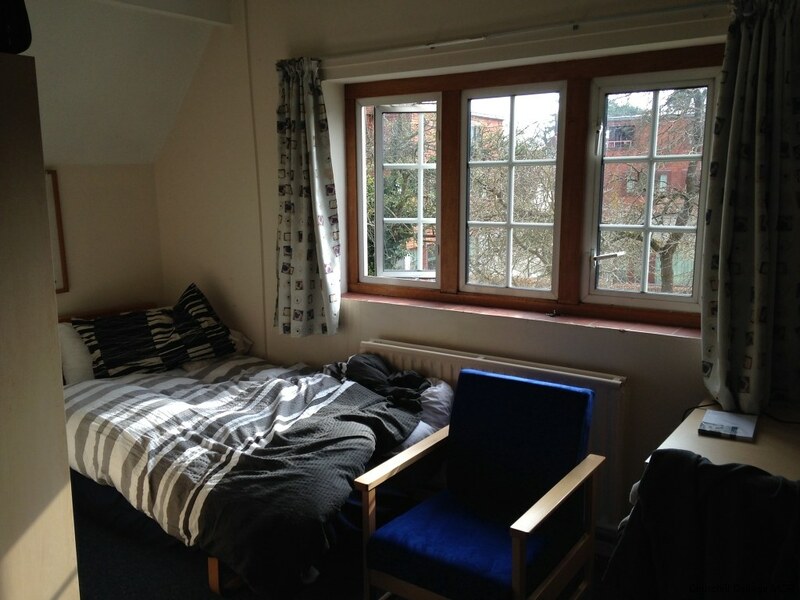 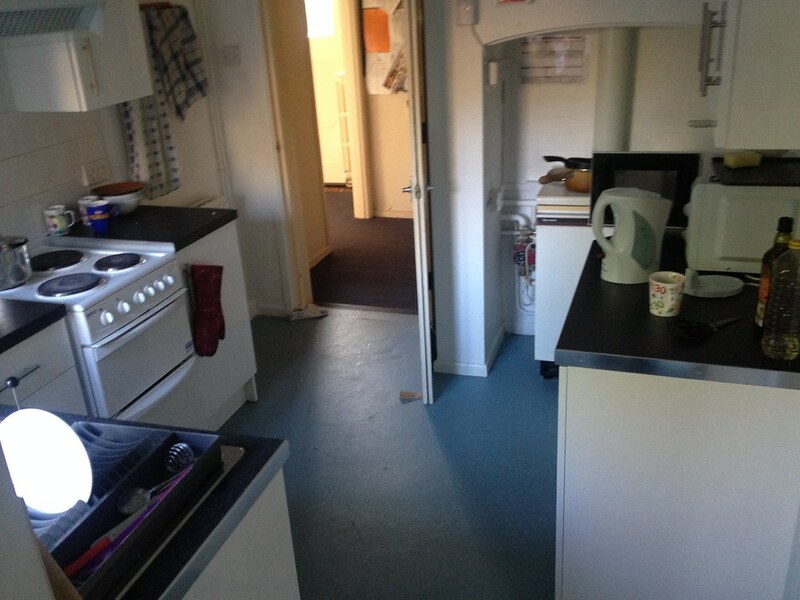 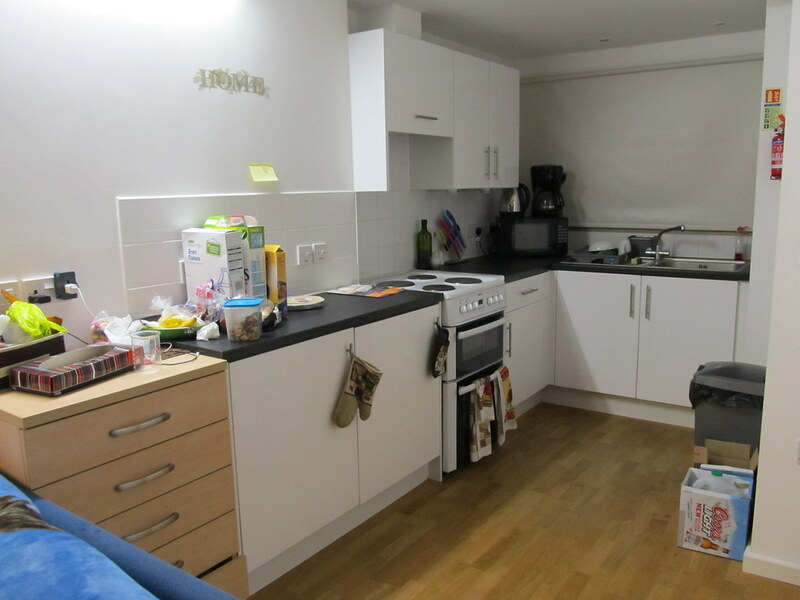 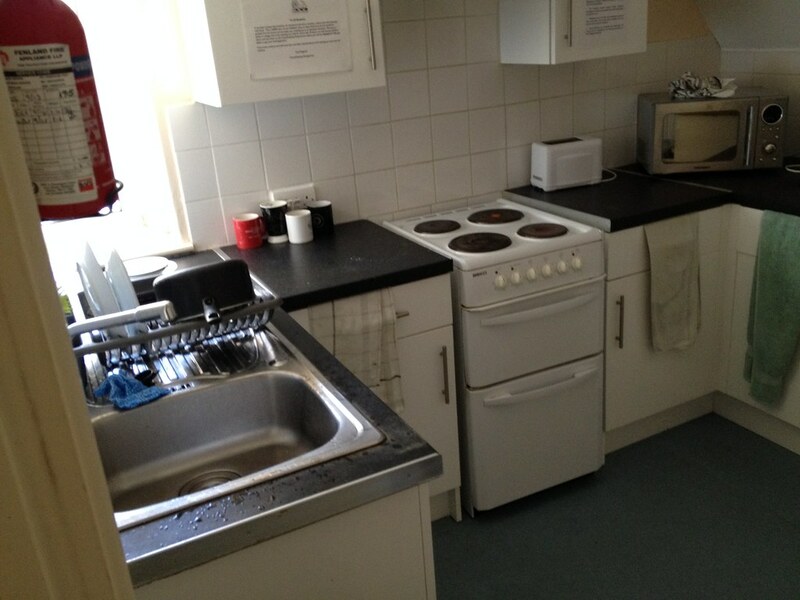 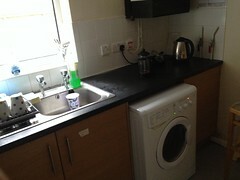 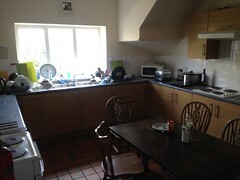 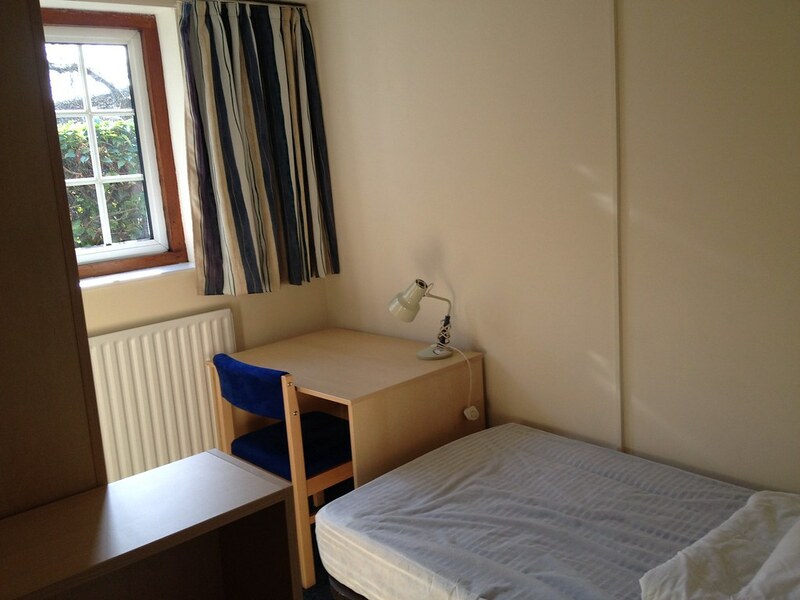 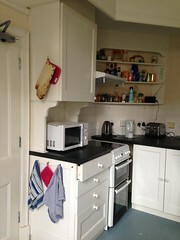 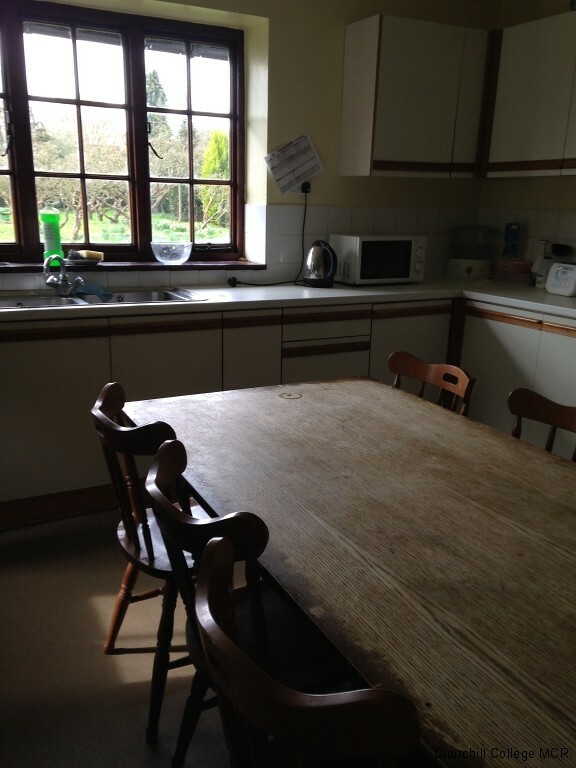 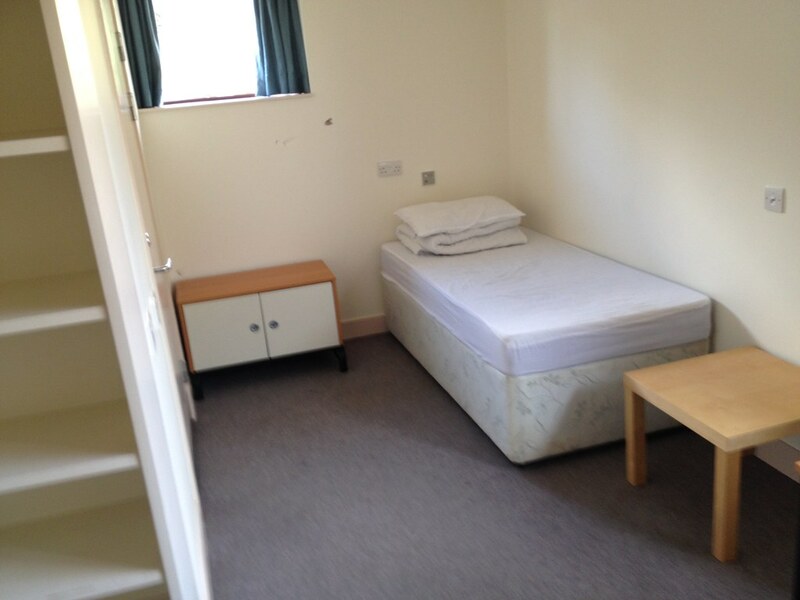 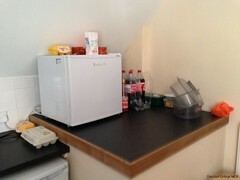 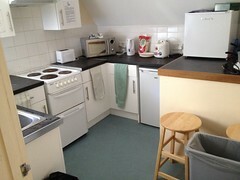 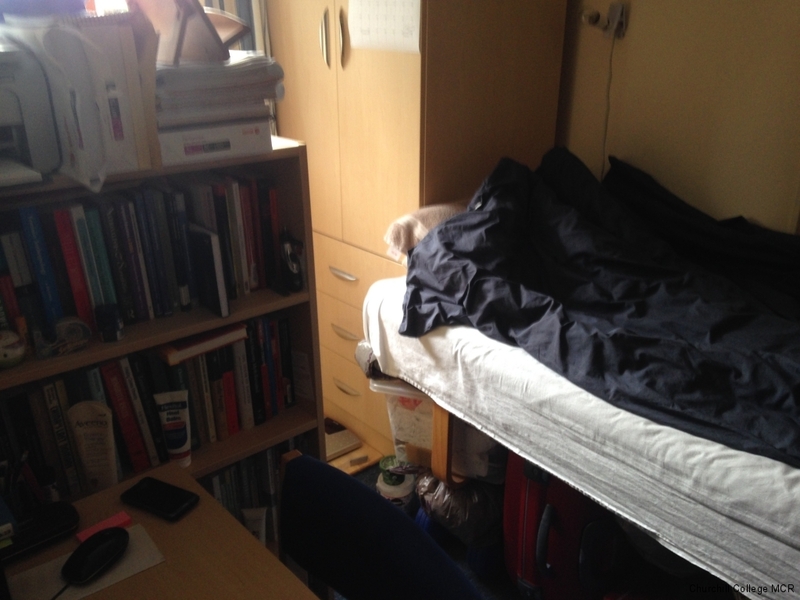 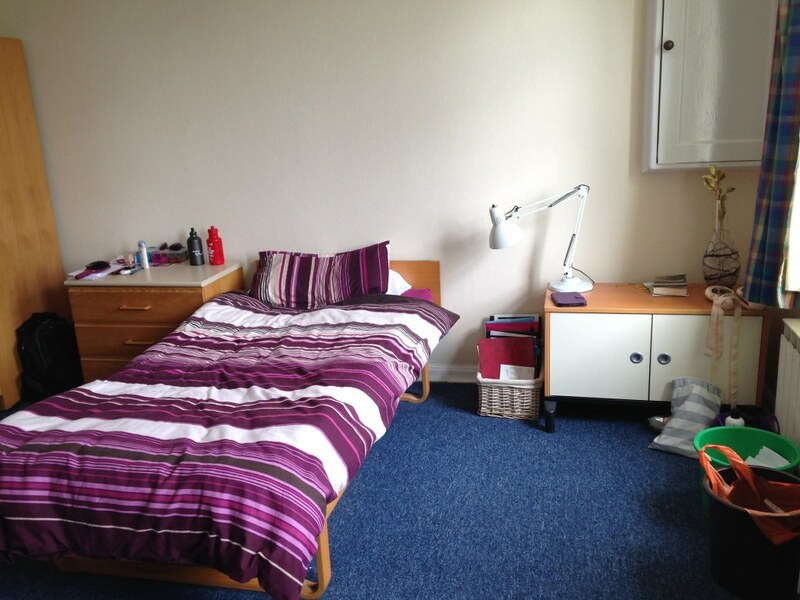 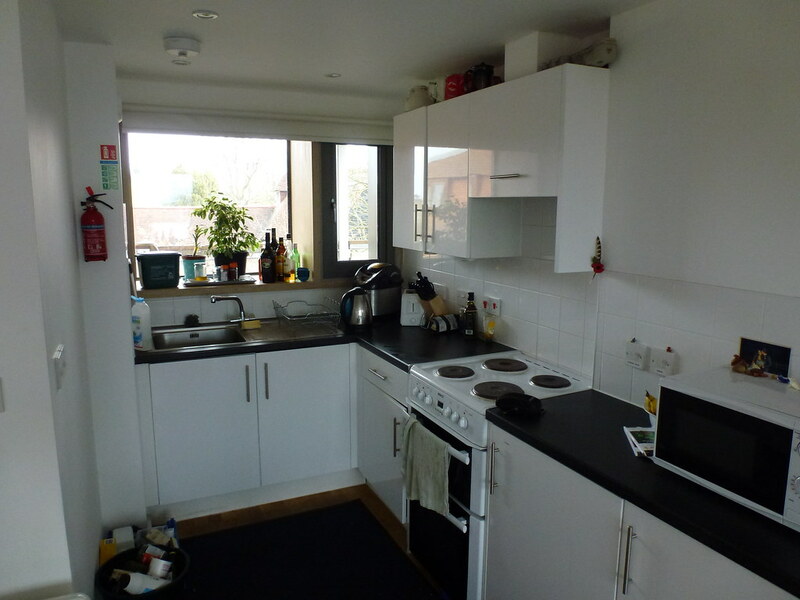 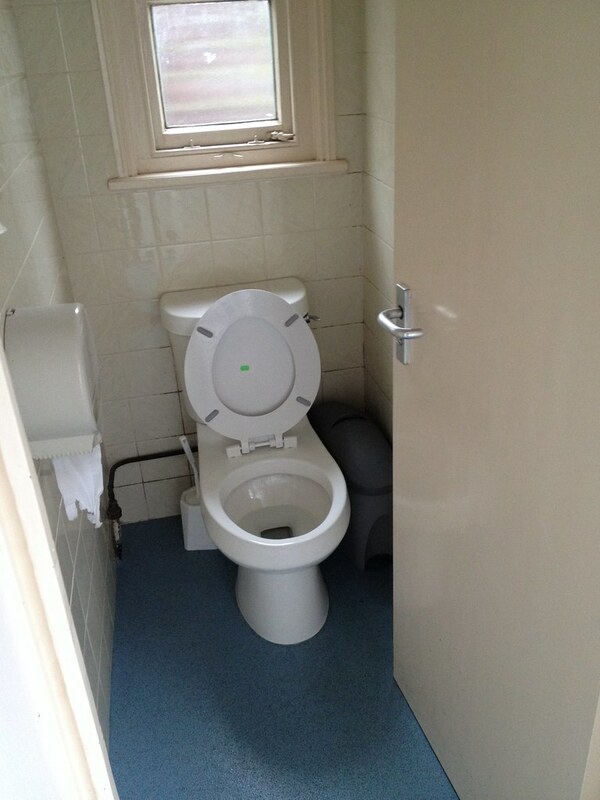 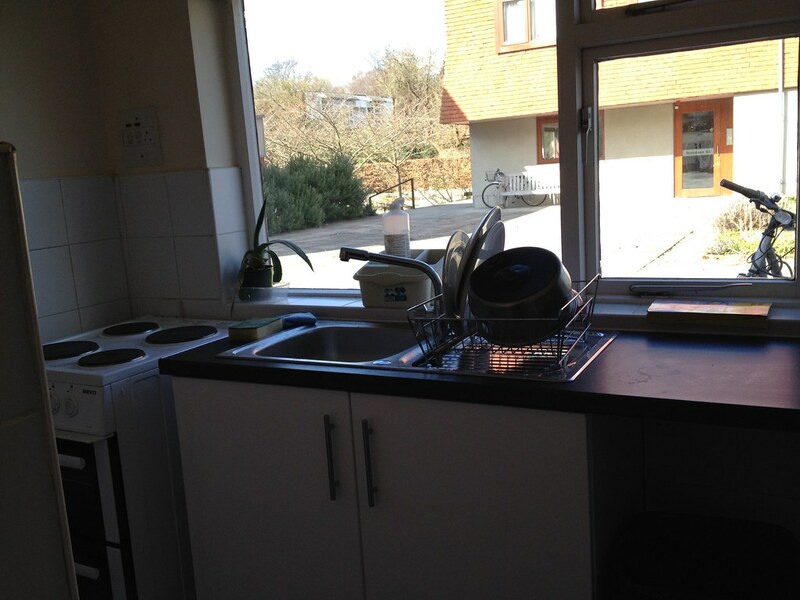 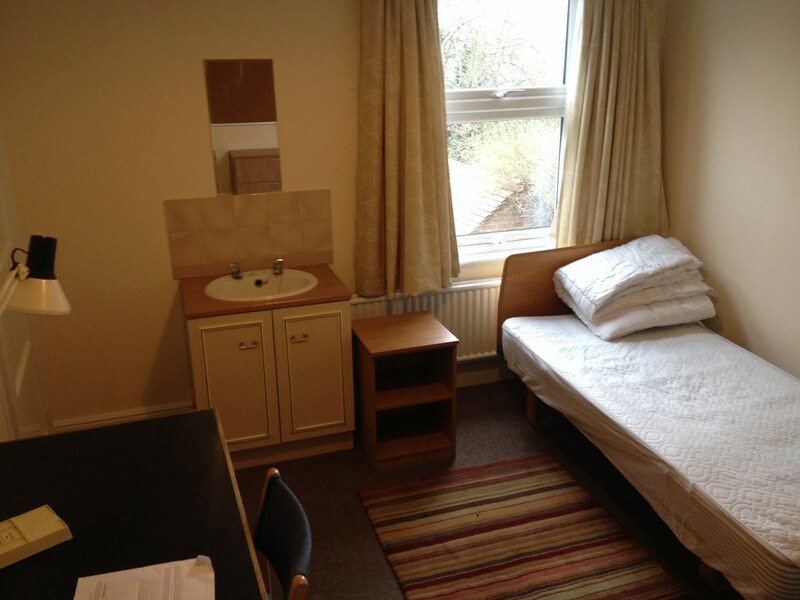 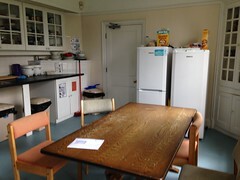 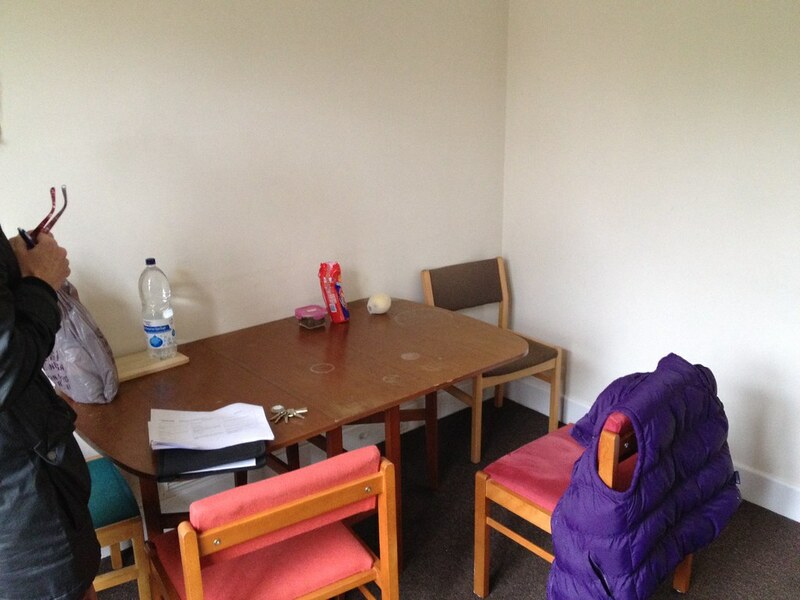 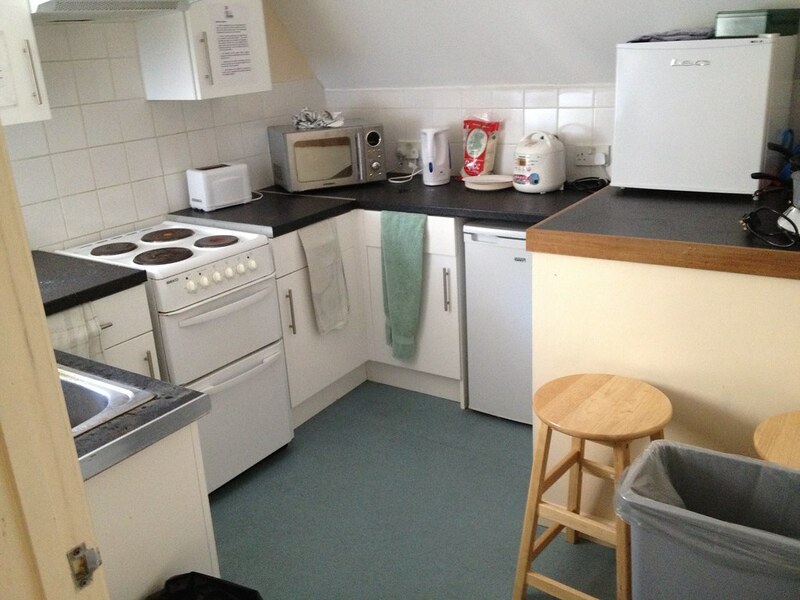 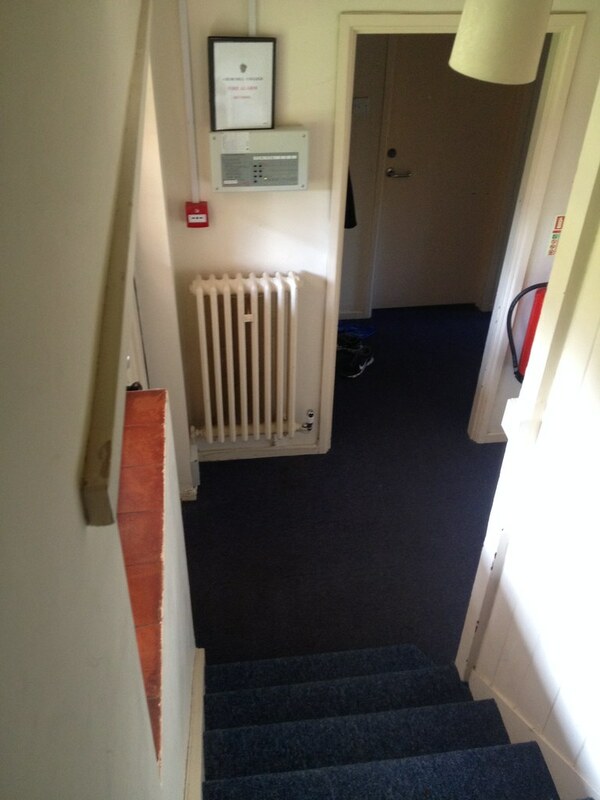 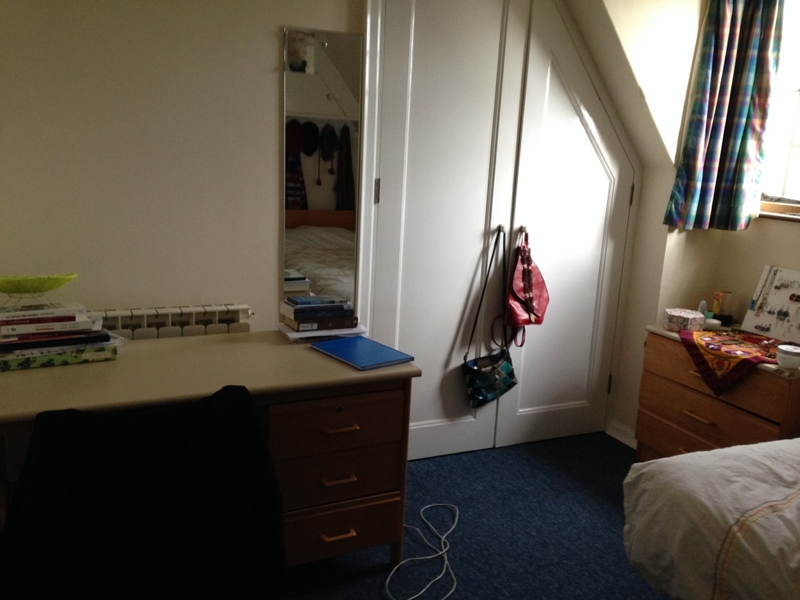 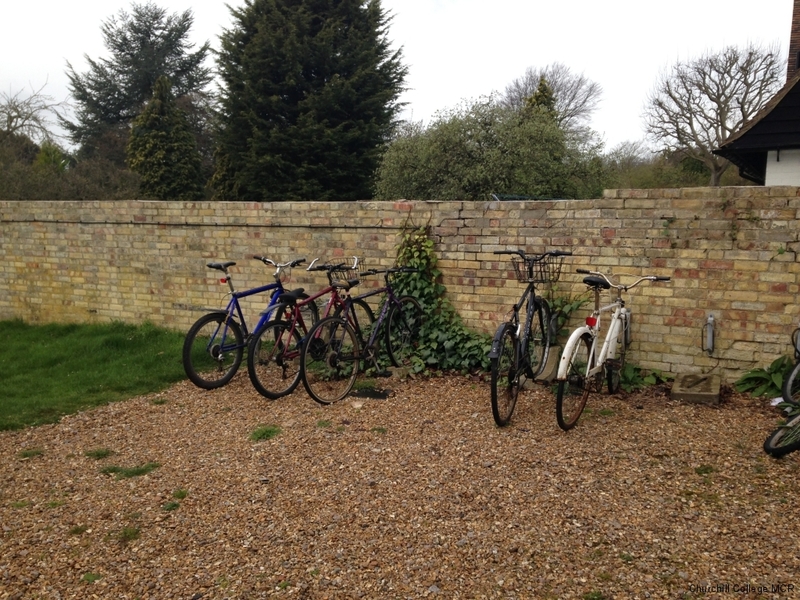 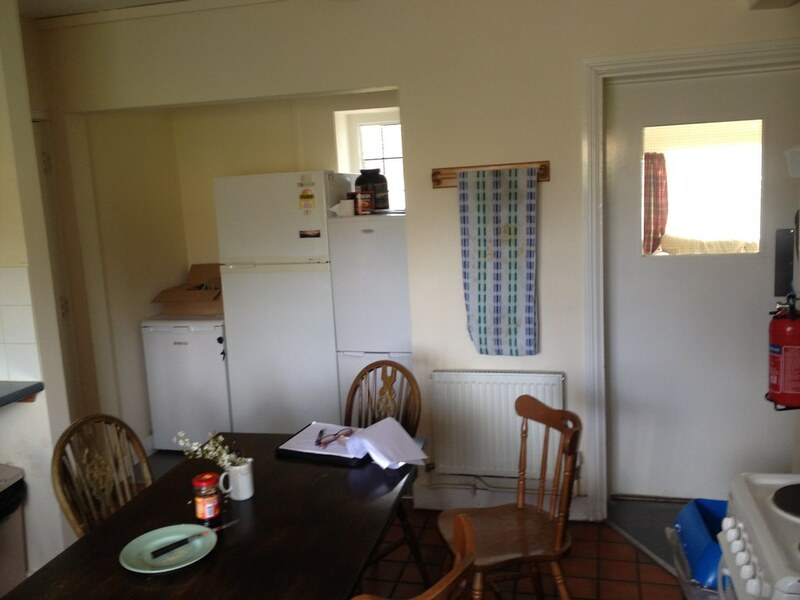 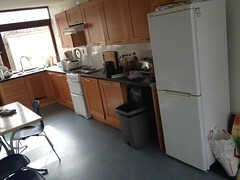 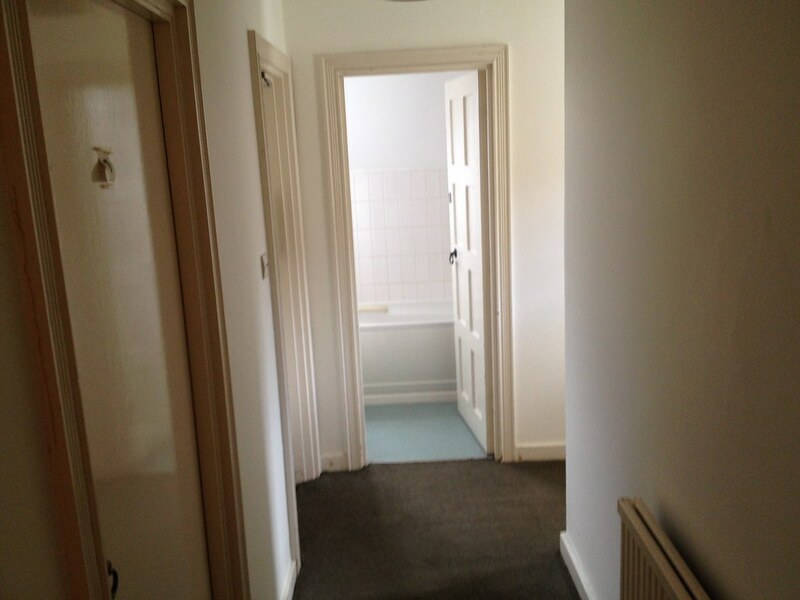 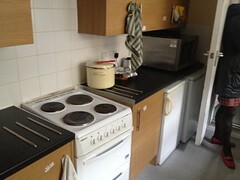 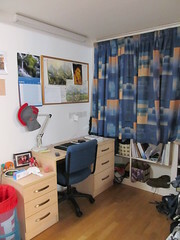 1/2 mile from College (towards Aldi) – 4 rooms – shared kitchen/bathroom/dining room (no basins in rooms). 1/2 mile from College (towards Aldi) – 4 rooms in 49, and 5 in 53 – shared kitchen/bathroom/sitting room (no basins in rooms). 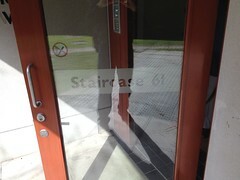 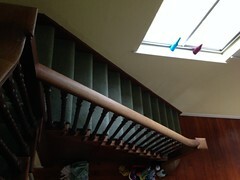 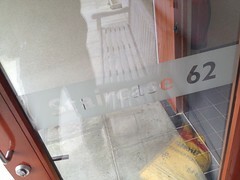 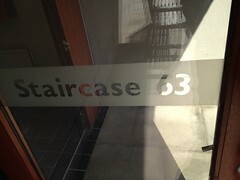 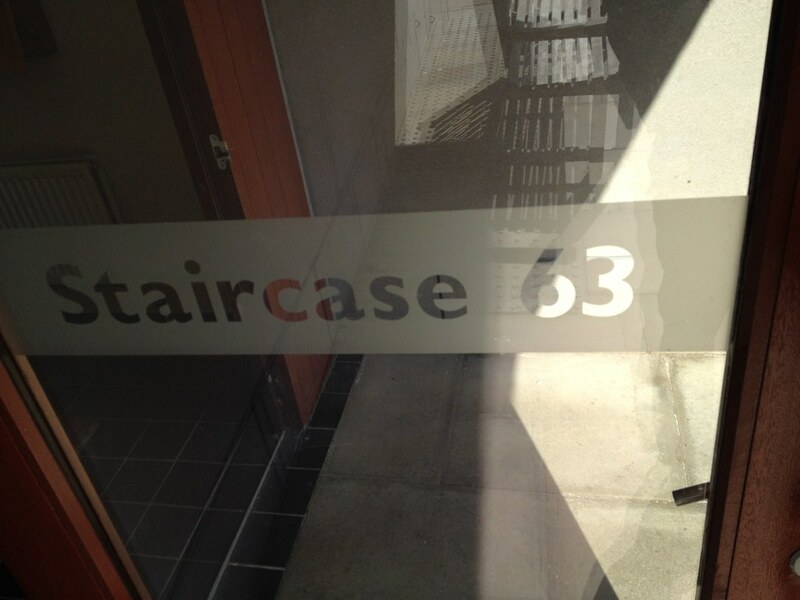 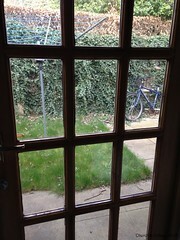 Quite similar in design (unfortunately evernote upload limit hit when picture taking in 53, so lost pictures). 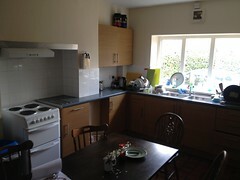 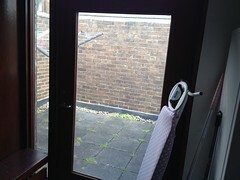 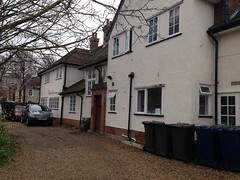 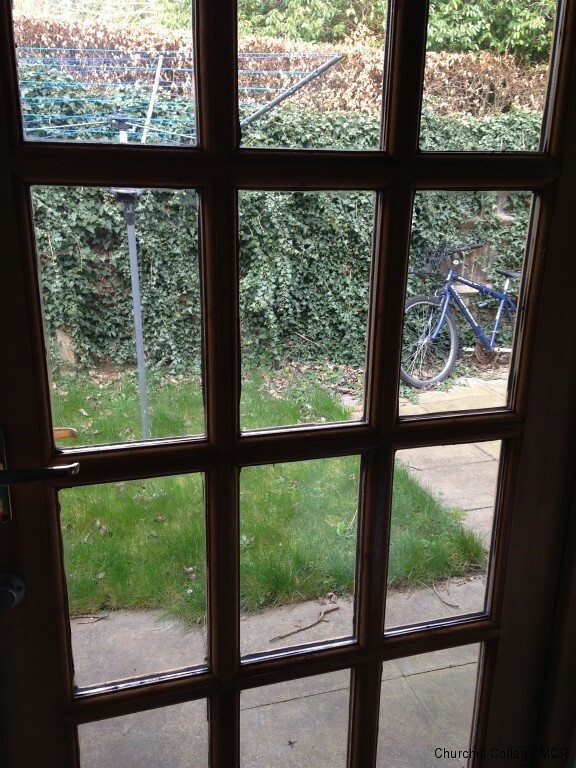 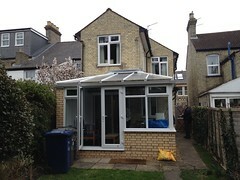 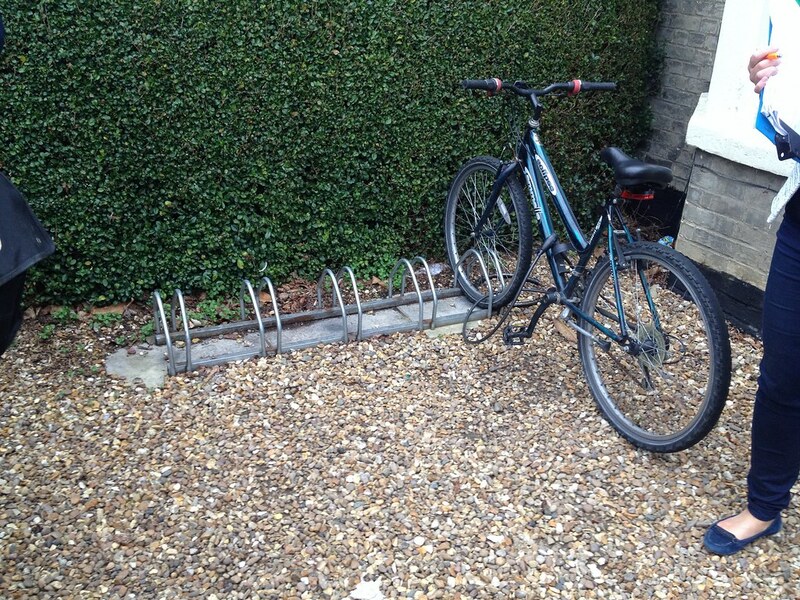 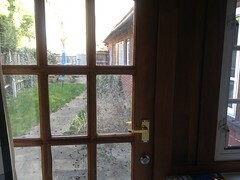 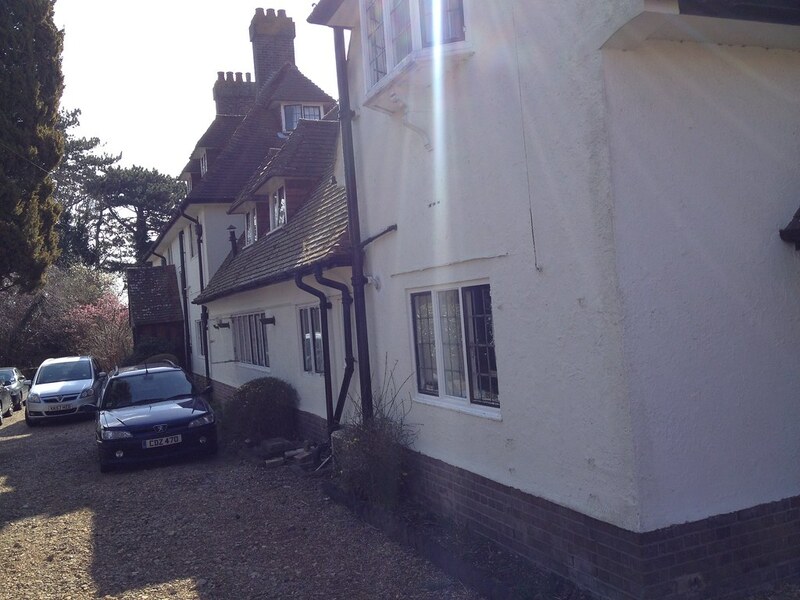 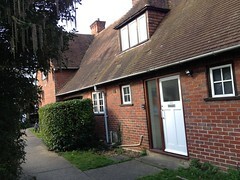 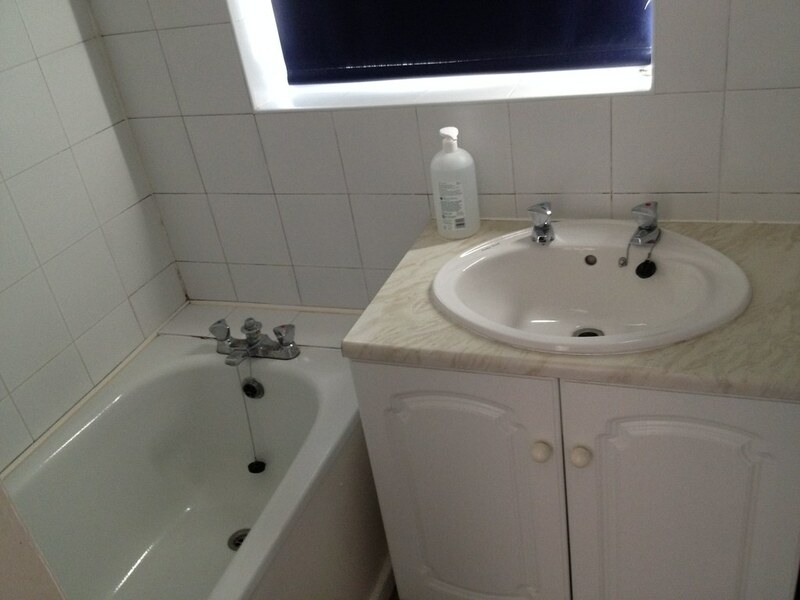 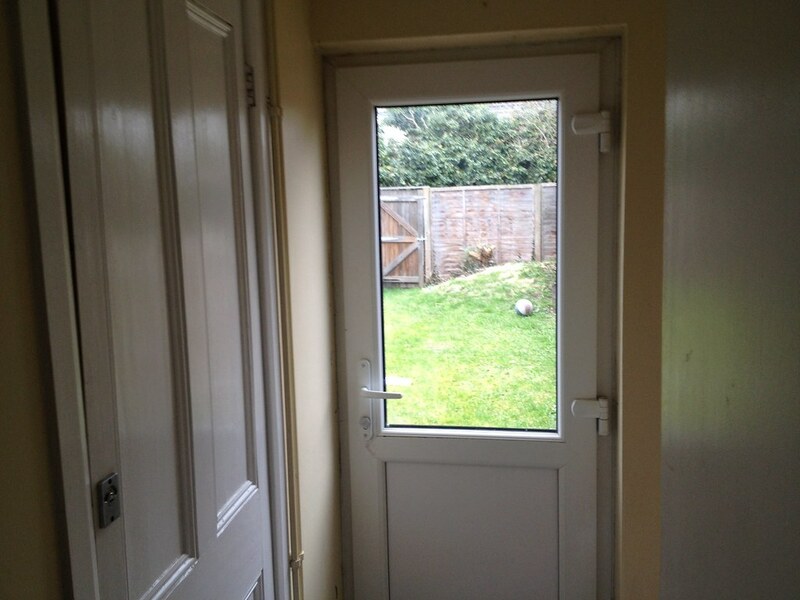 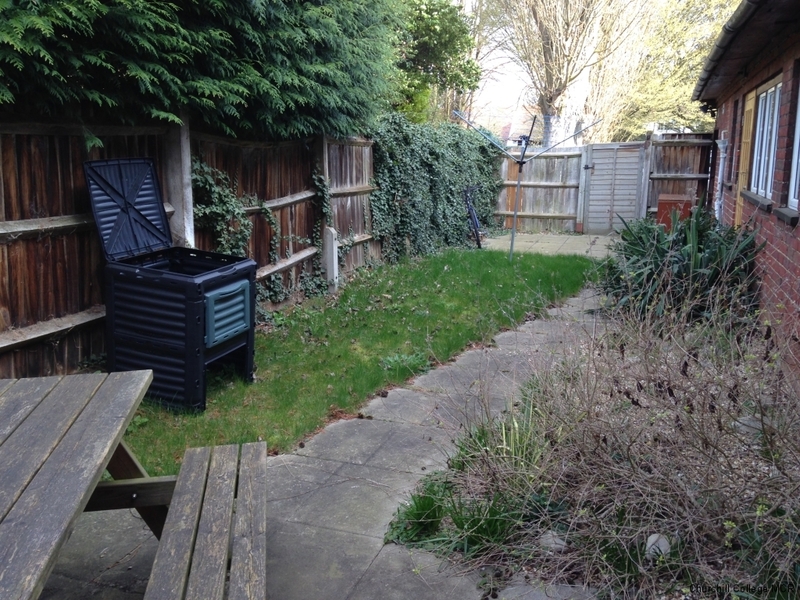 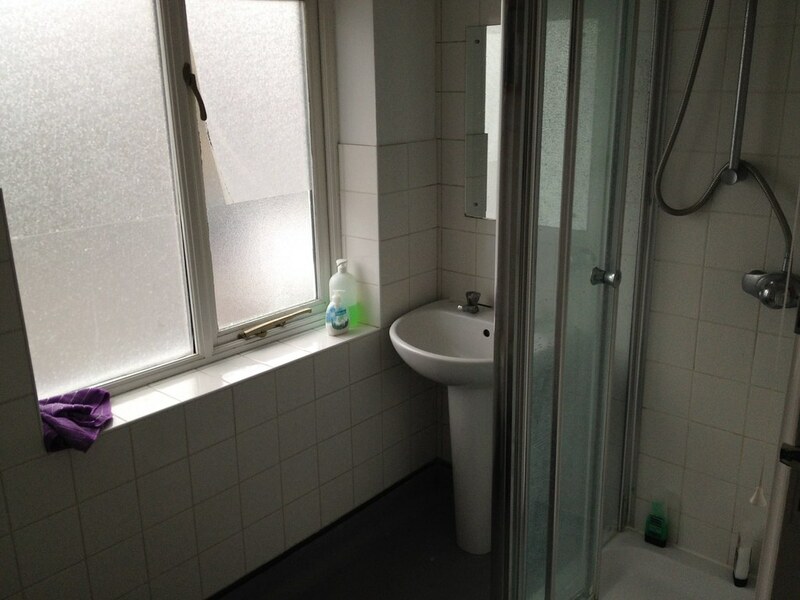 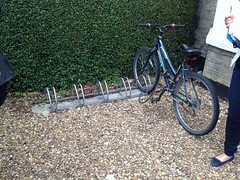 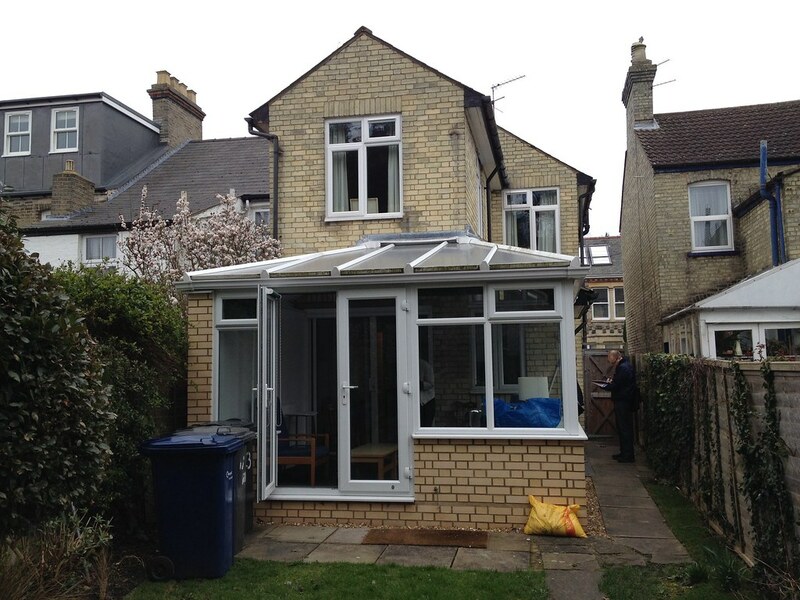 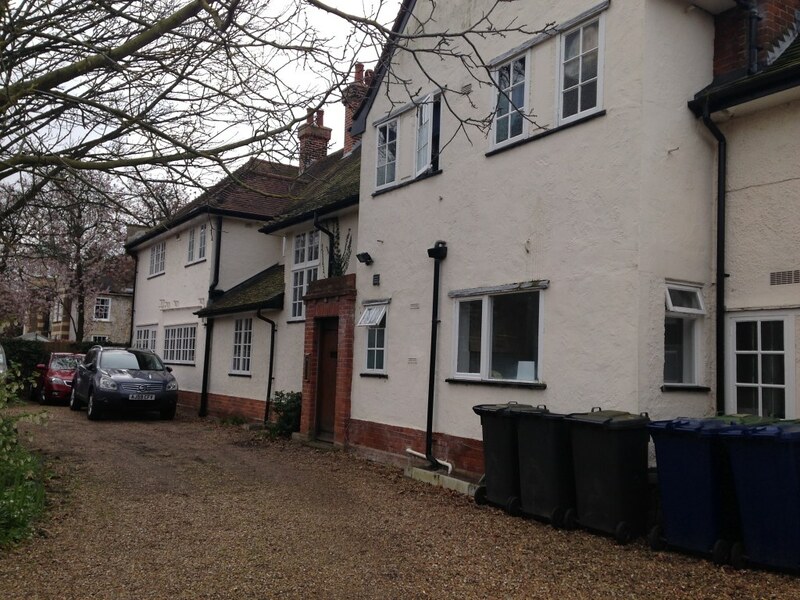 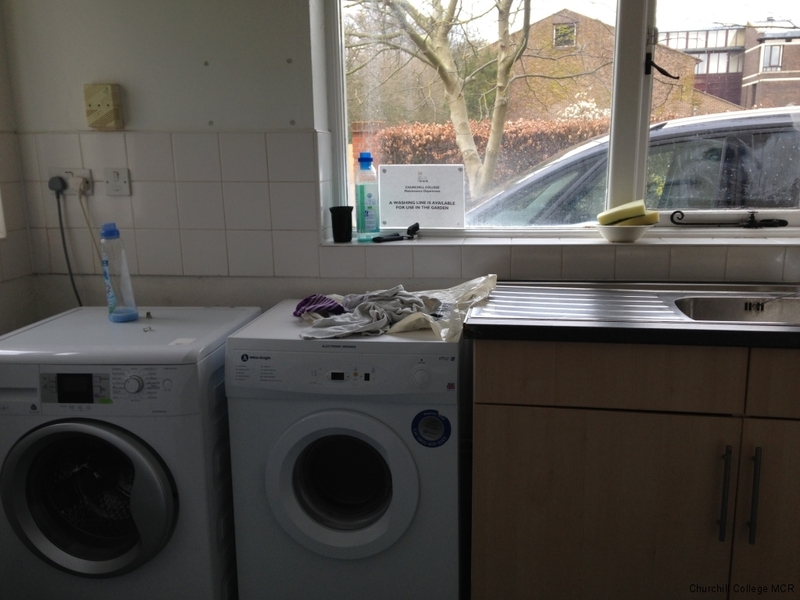 1/2 mile from College (towards Aldi) – 5 rooms – shared kitchen/bathroom/conservatory (no basins in rooms). 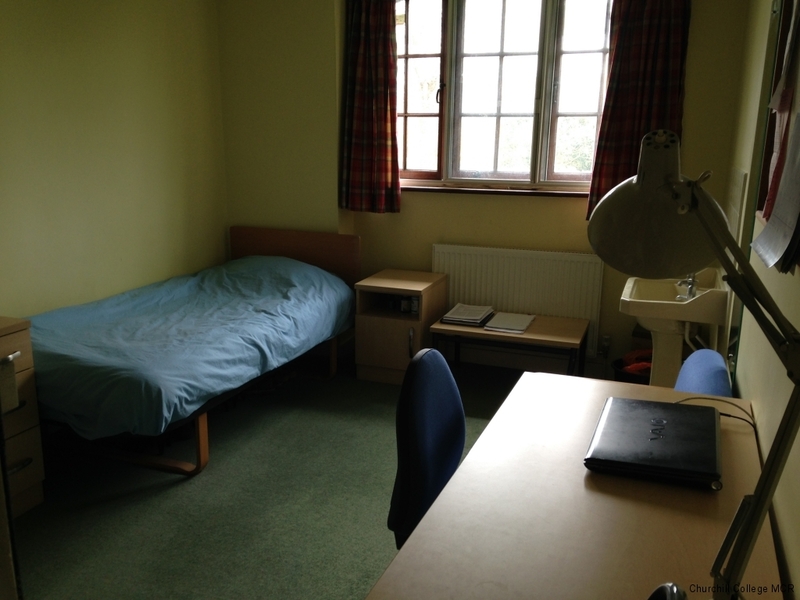 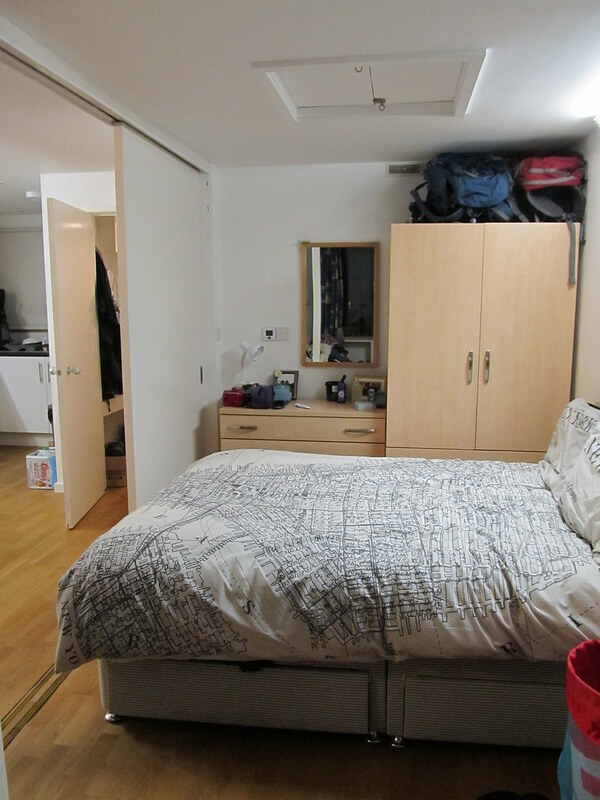 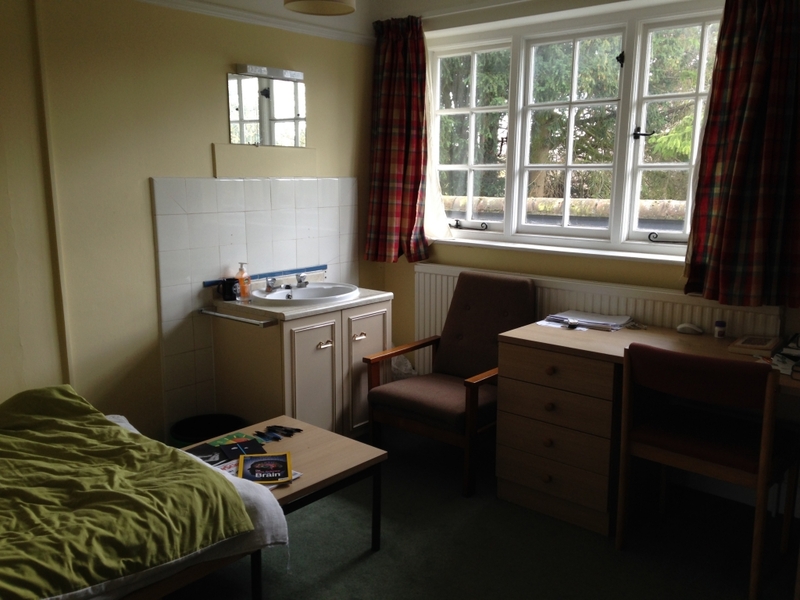 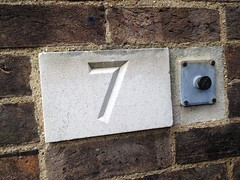 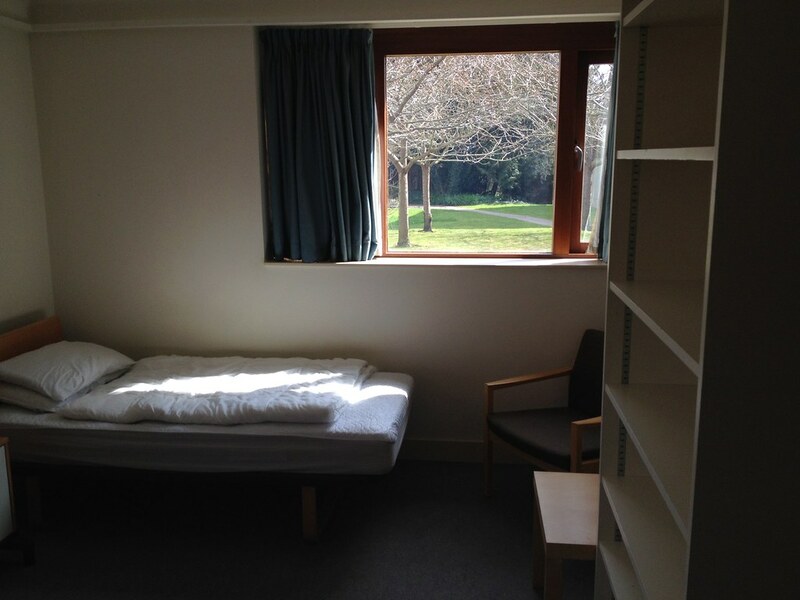 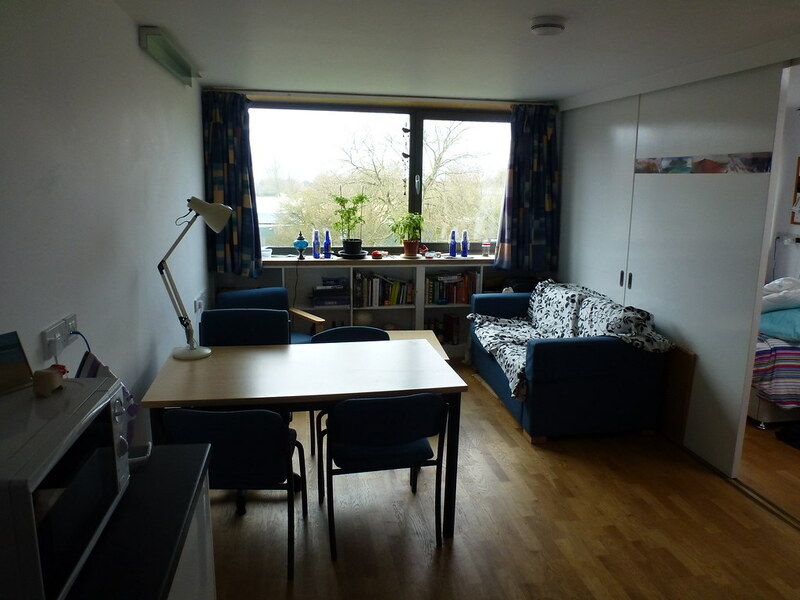 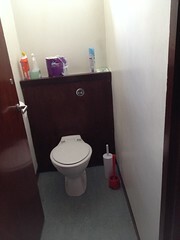 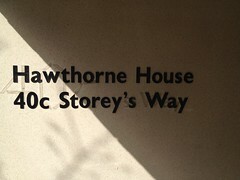 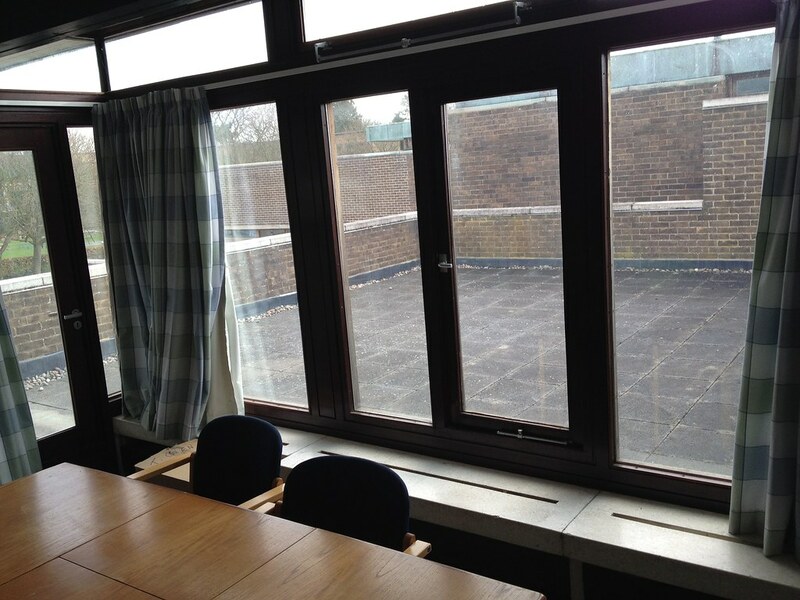 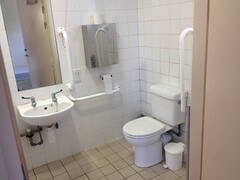 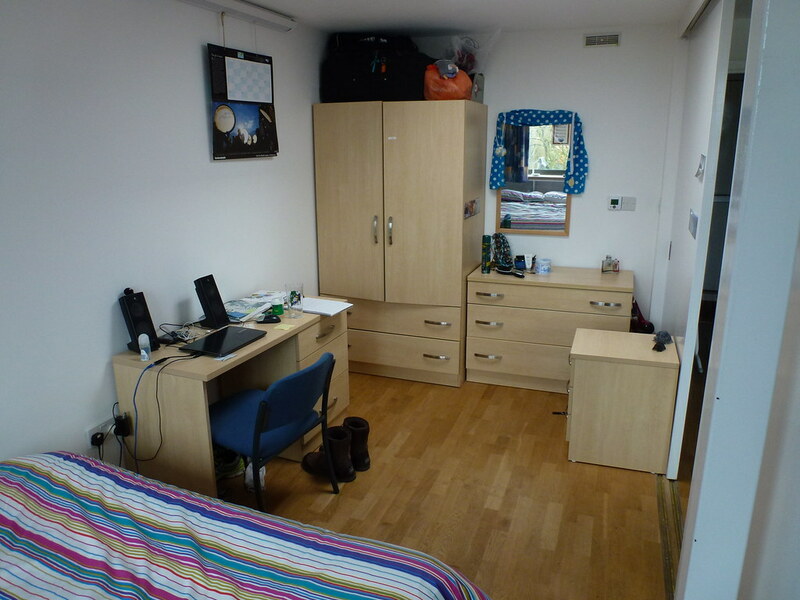 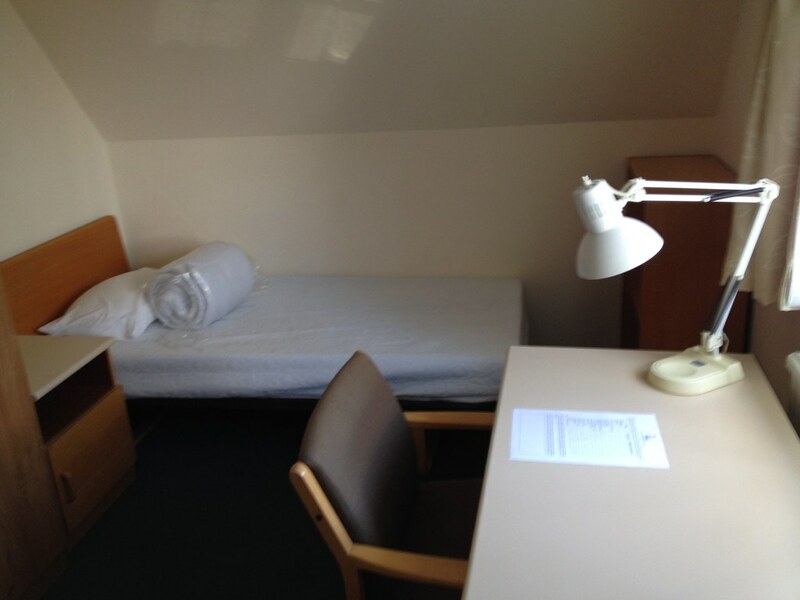 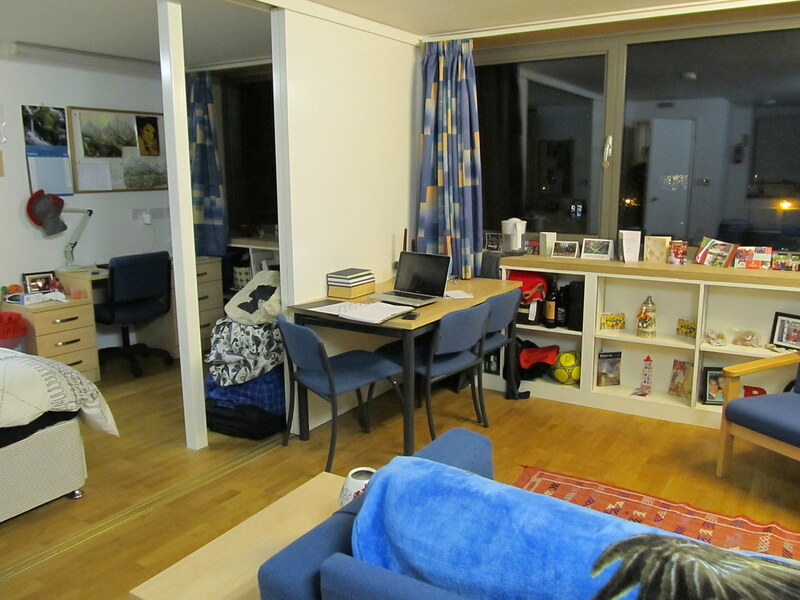 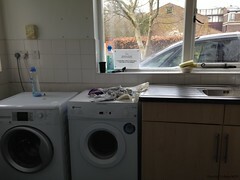 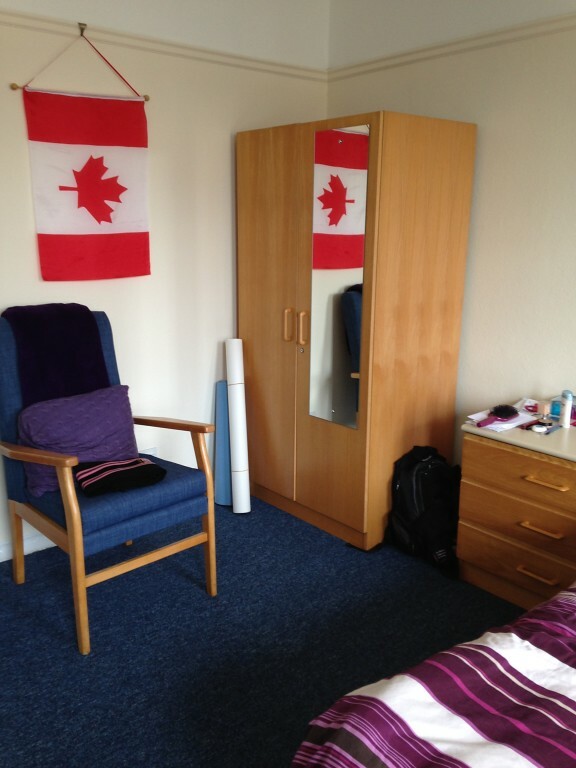 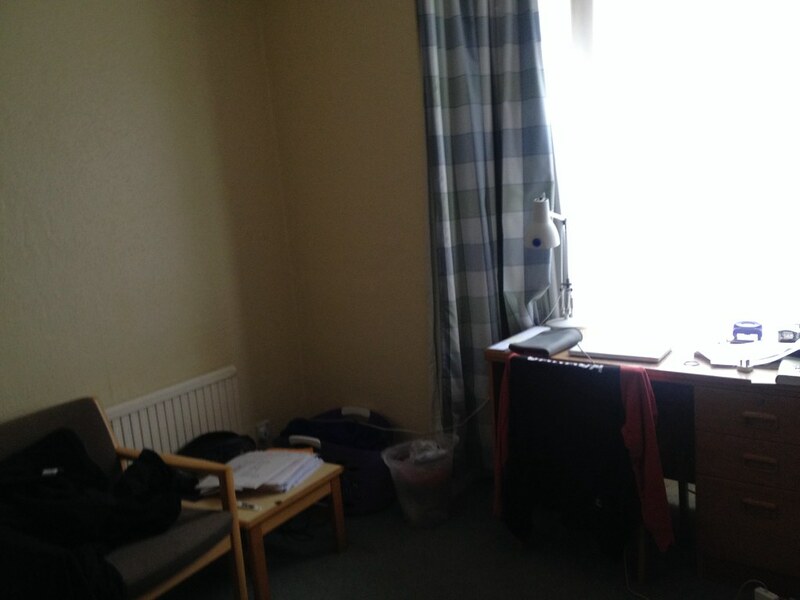 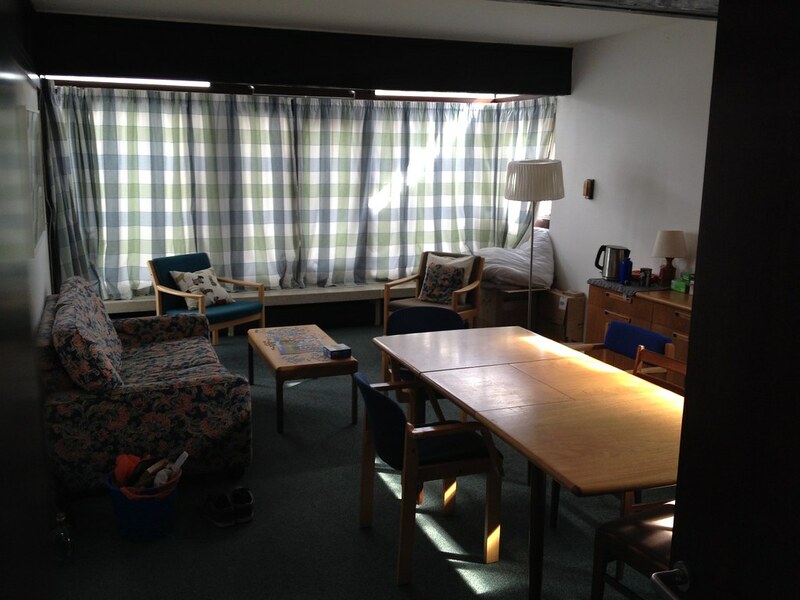 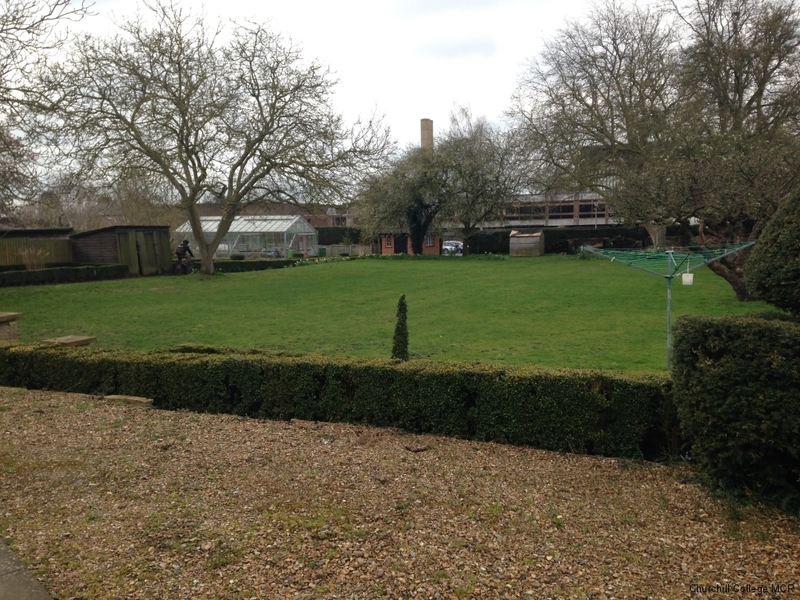 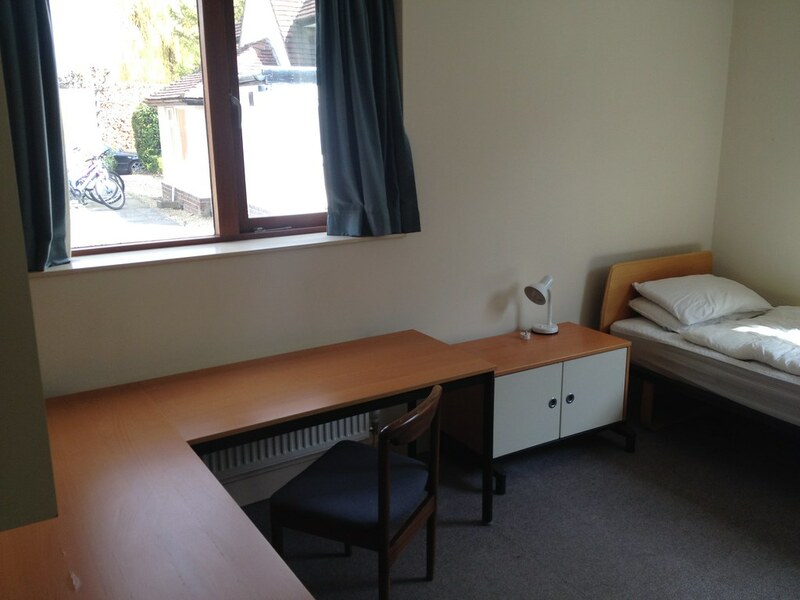 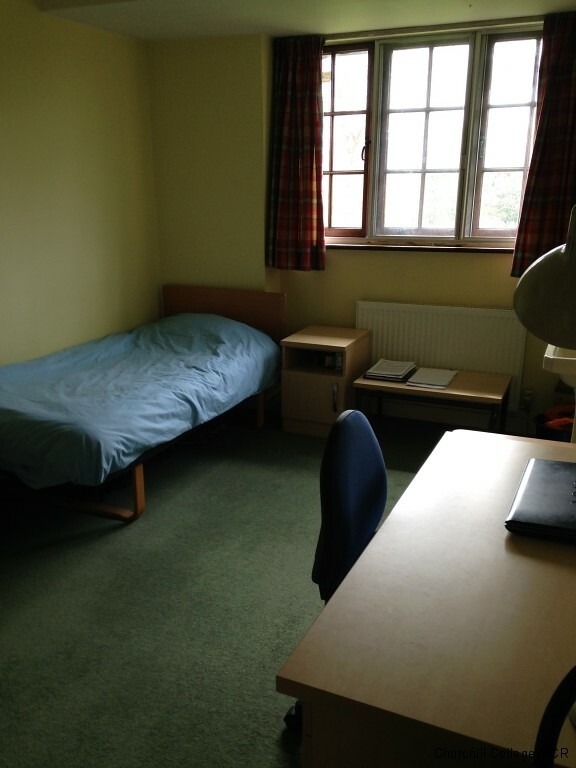 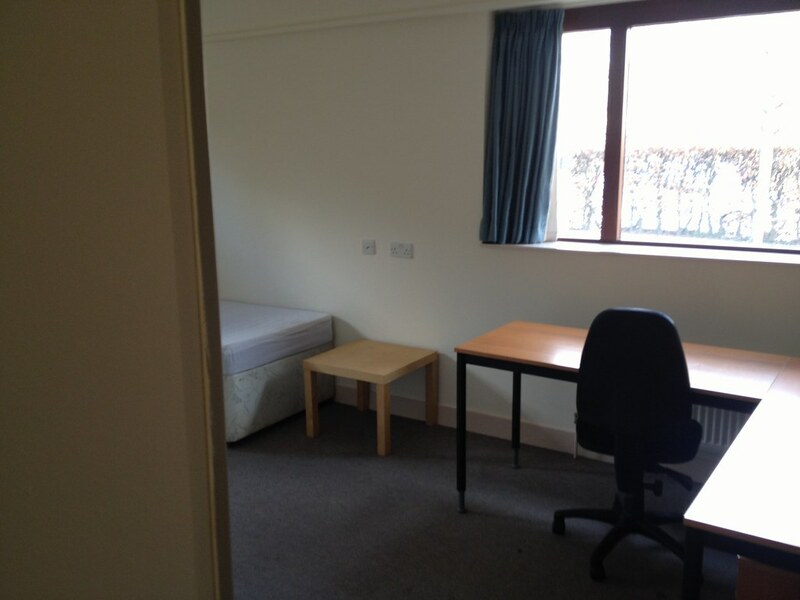 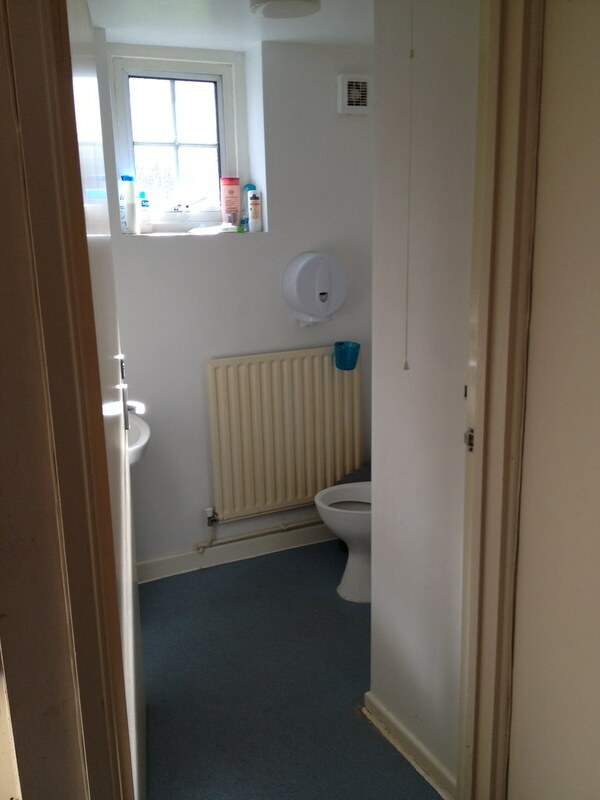 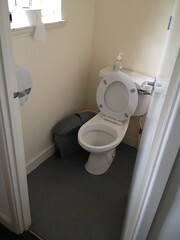 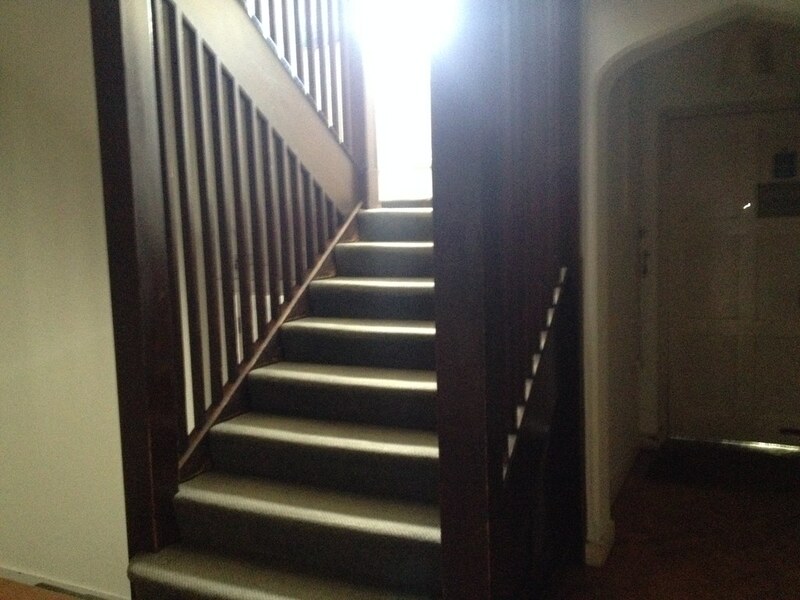 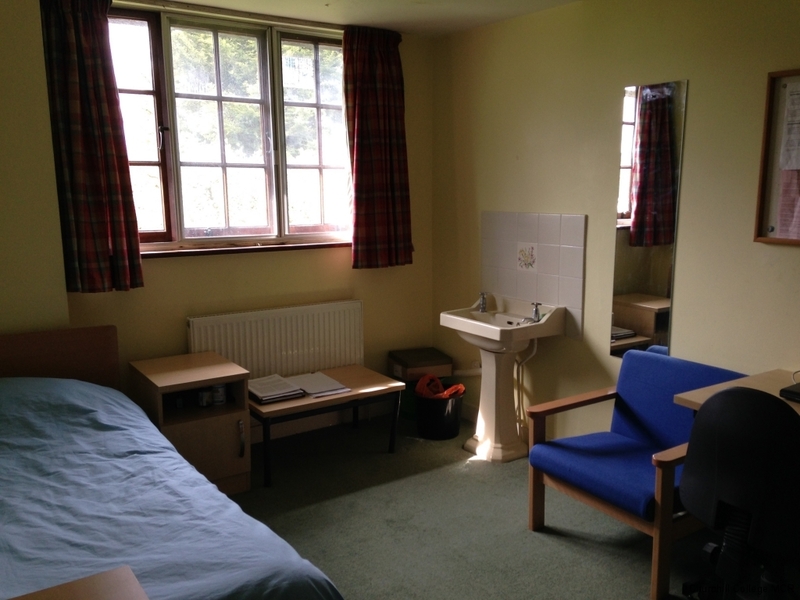 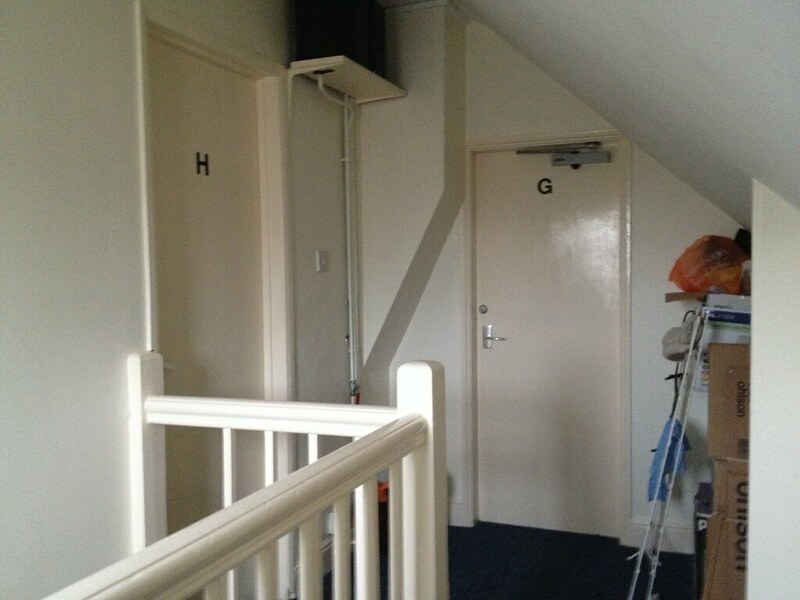 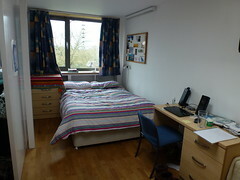 Significant distance from College (towards Addenbrookes site) – priority given to medics – 8 rooms (3 floors) – shared kitchen/sitting room – 2 shower rooms and 2 separate lavatories (most rooms no basins). 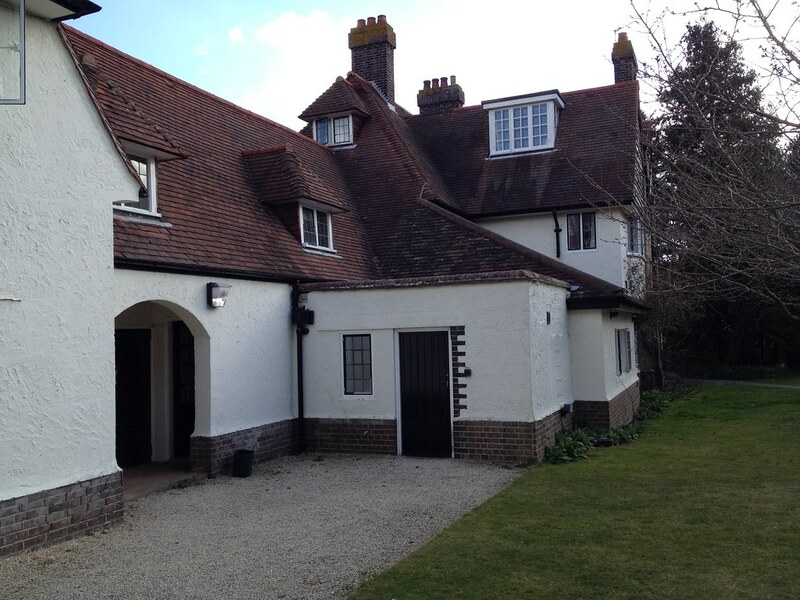 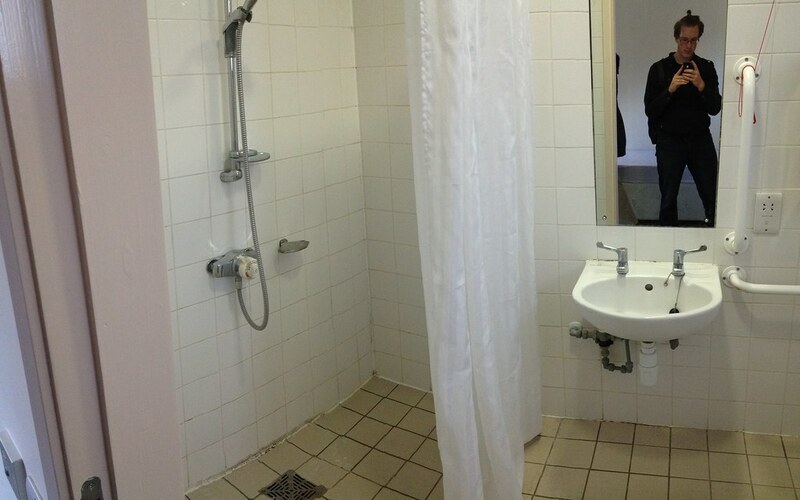 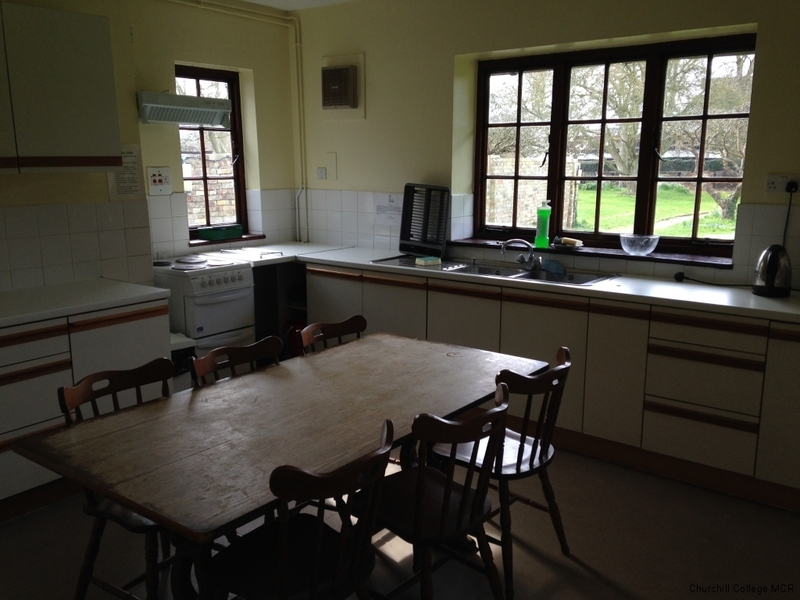 14 rooms – large shared kitchen (can eat together) – 3 shower rooms (plus 1 bathroom and 3WCs). 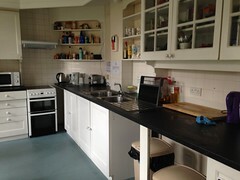 13 rooms (3 floors) – shared large kitchen and spacious living room – 3 shower rooms (3 separate bath only rooms, and 2 additional WCs). 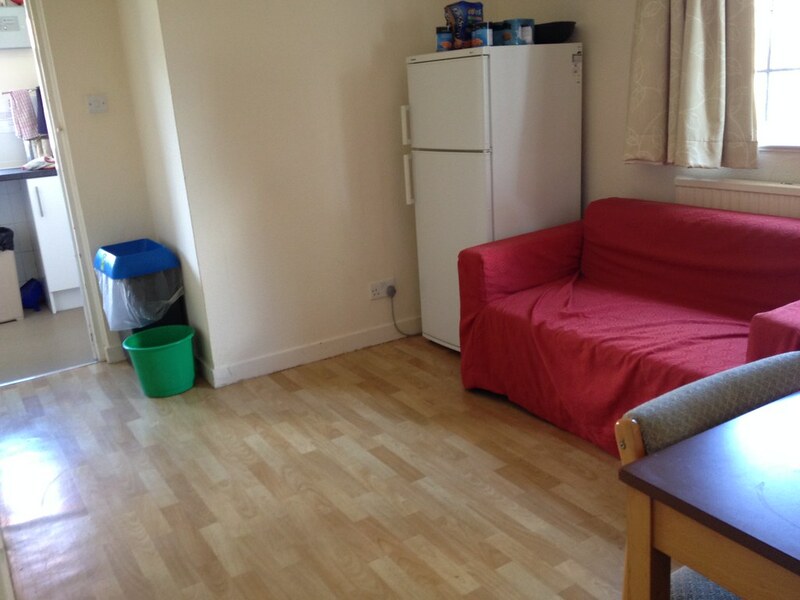 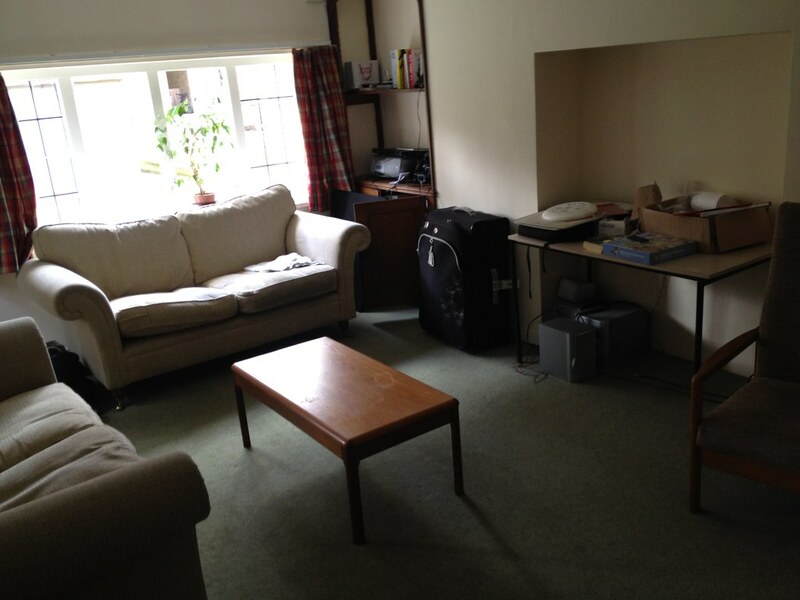 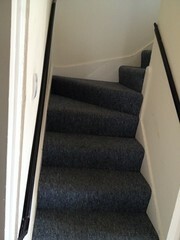 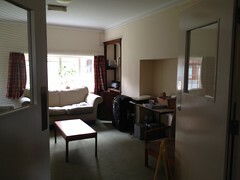 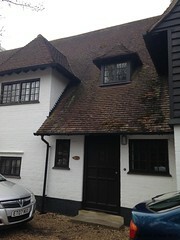 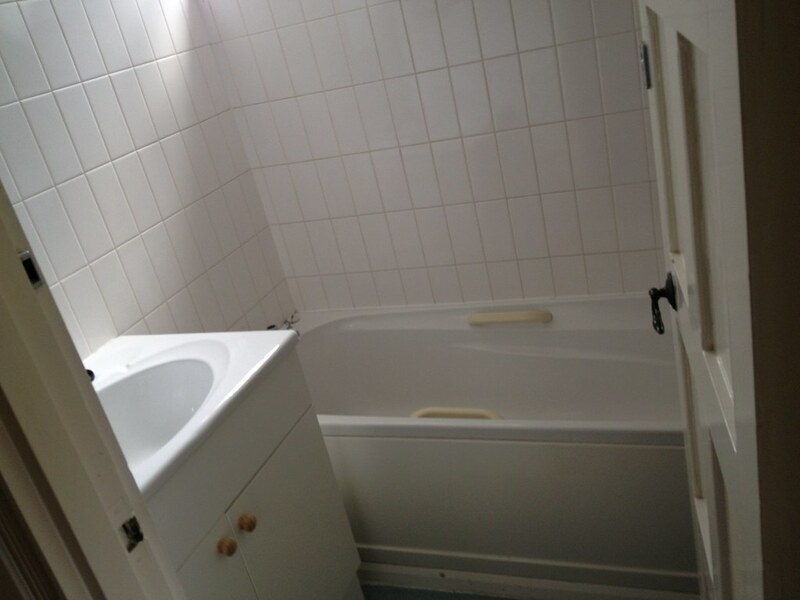 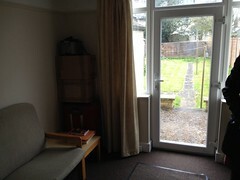 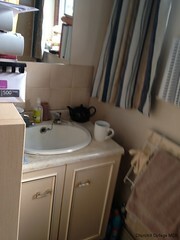 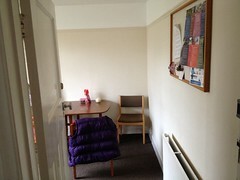 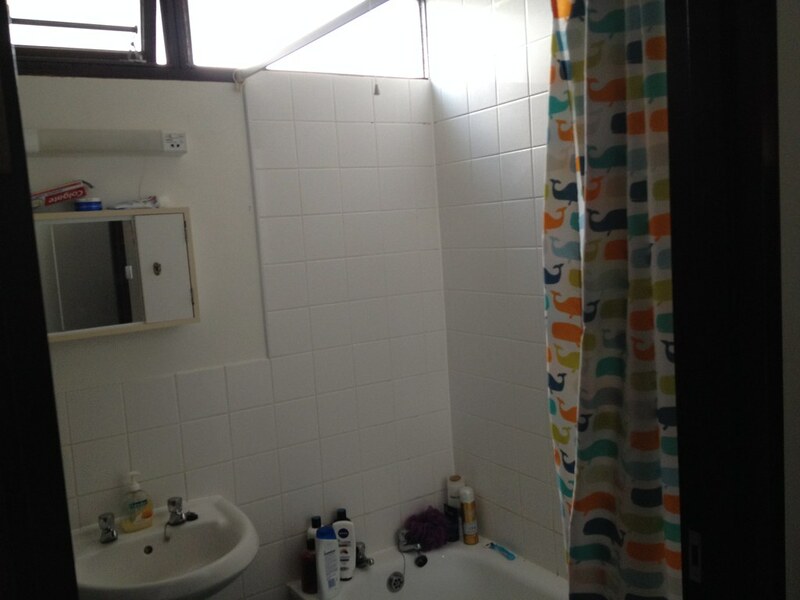 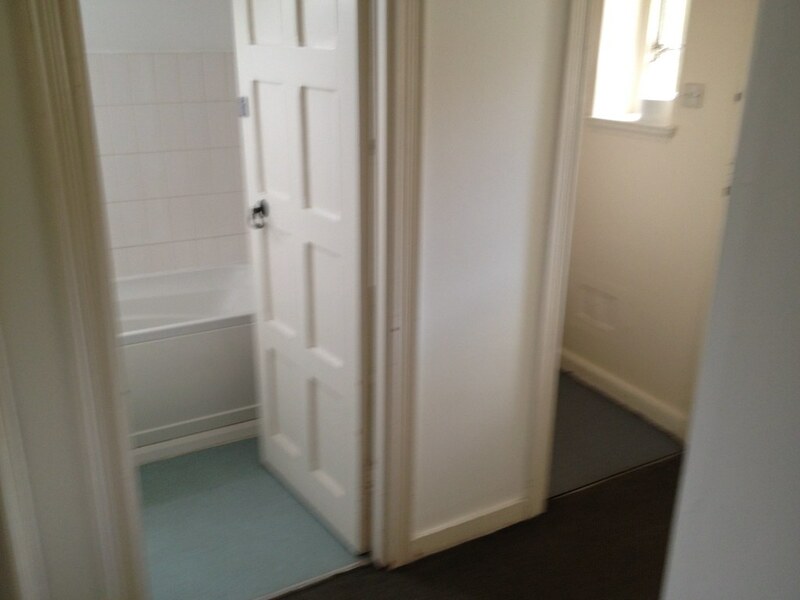 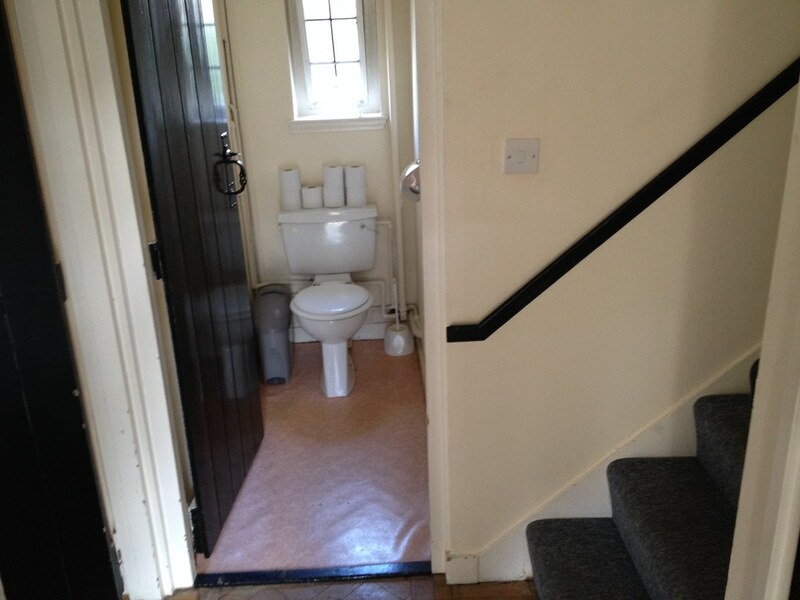 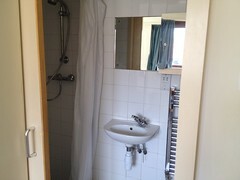 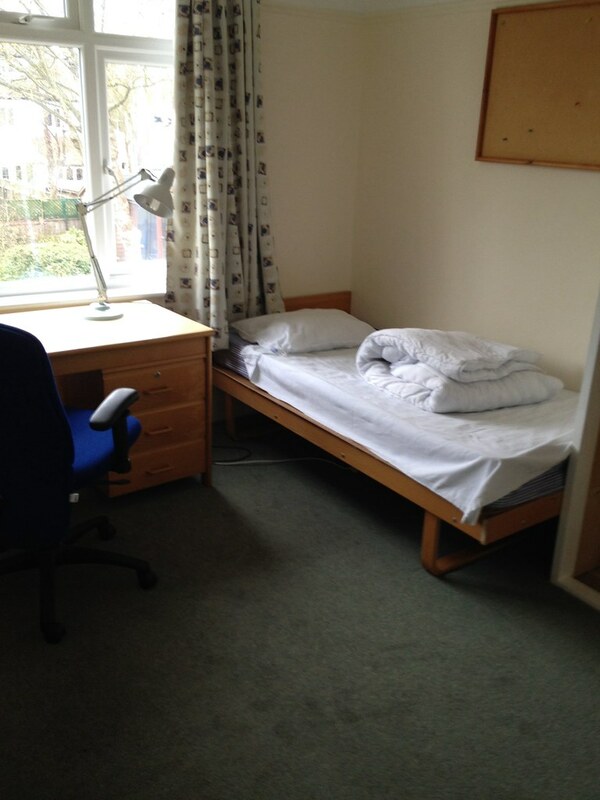 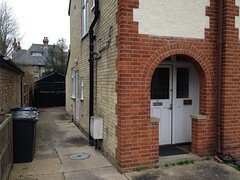 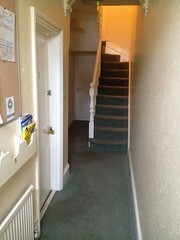 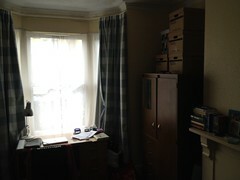 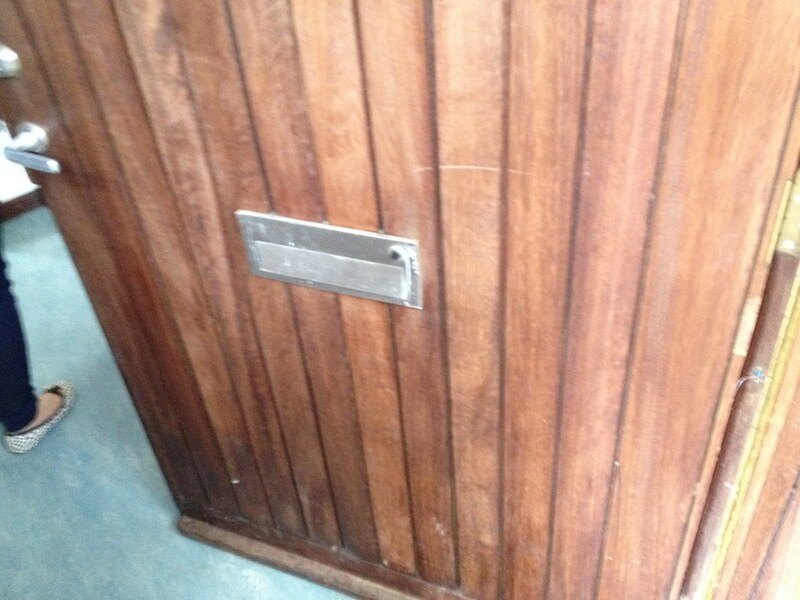 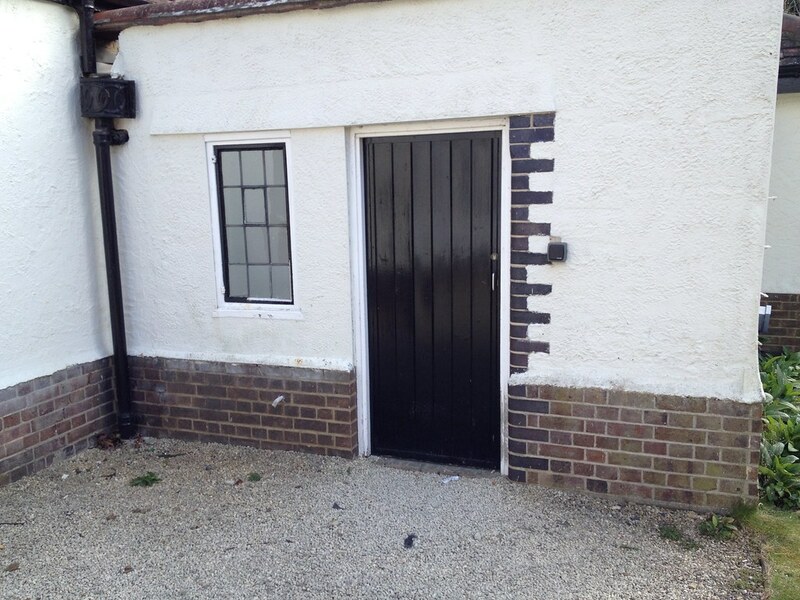 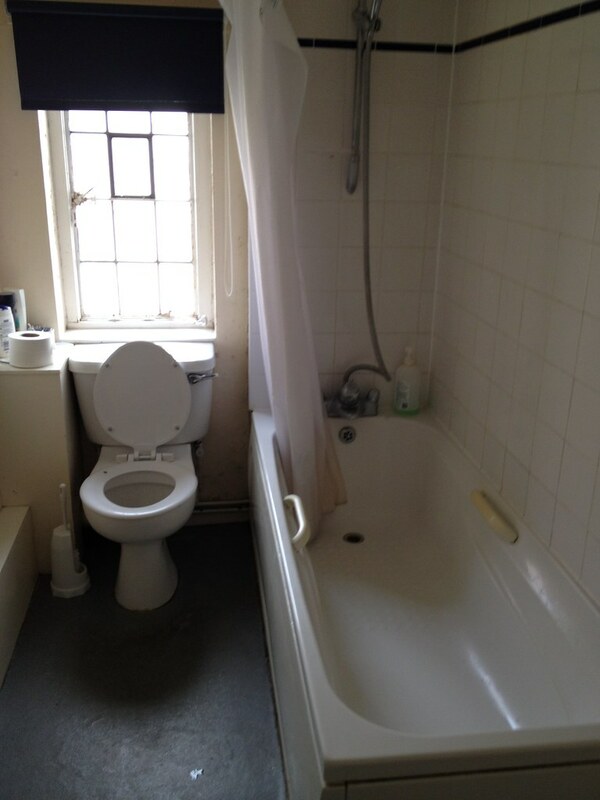 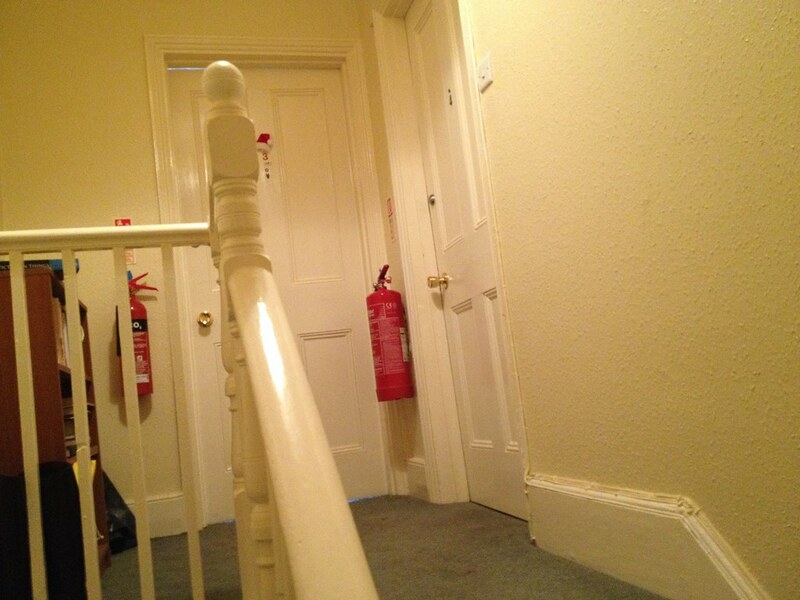 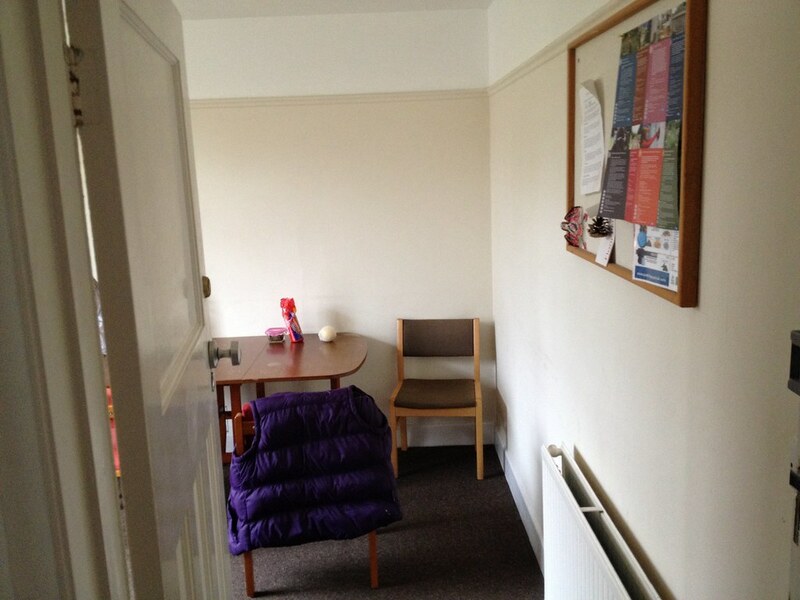 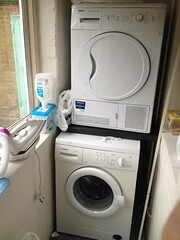 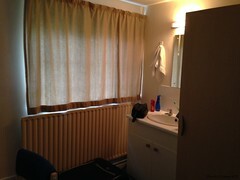 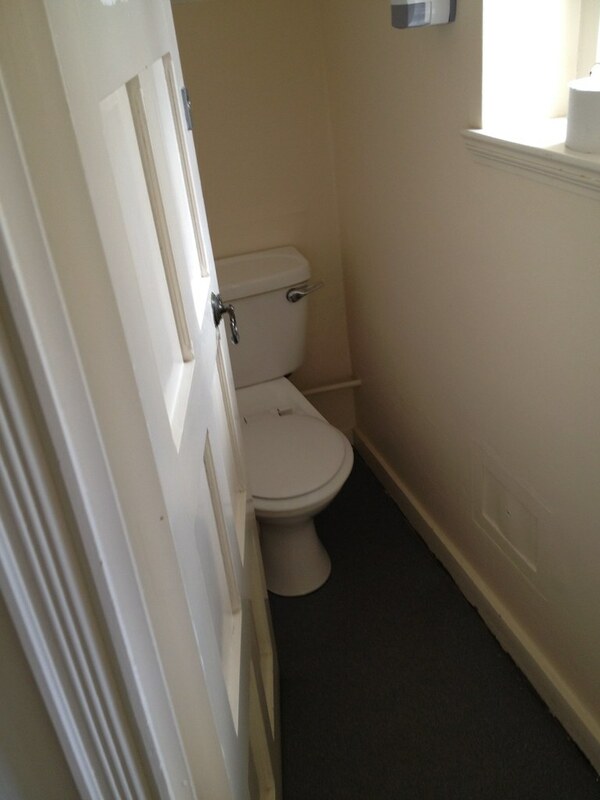 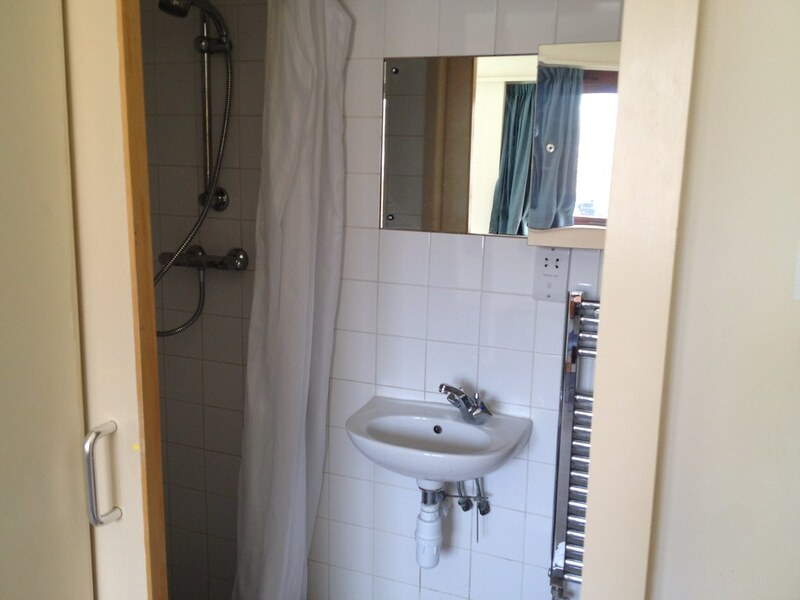 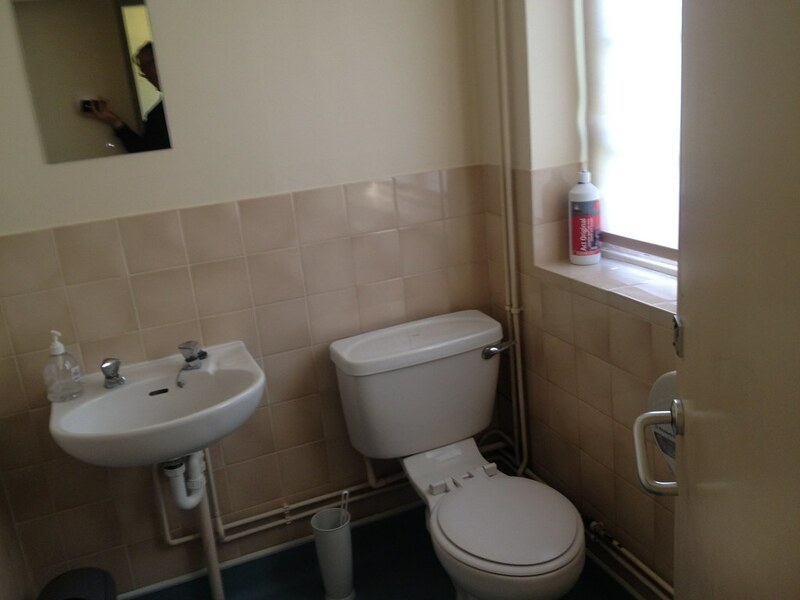 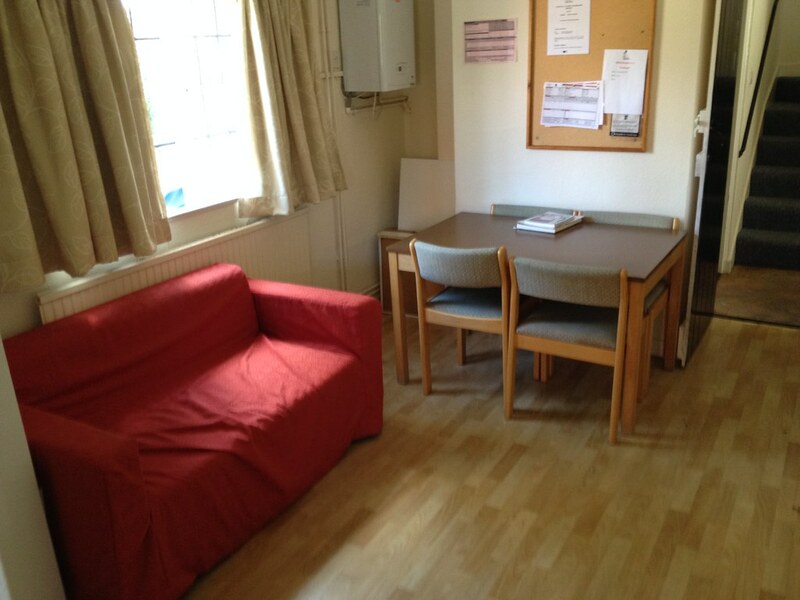 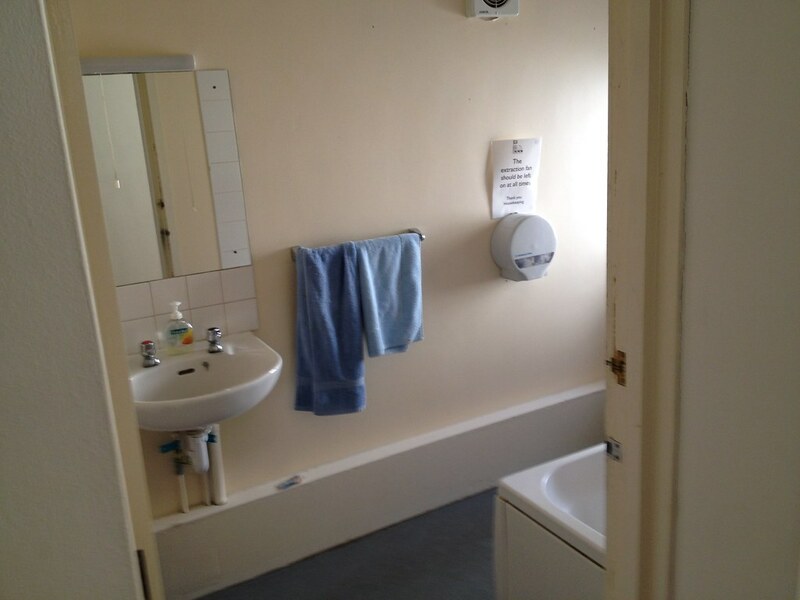 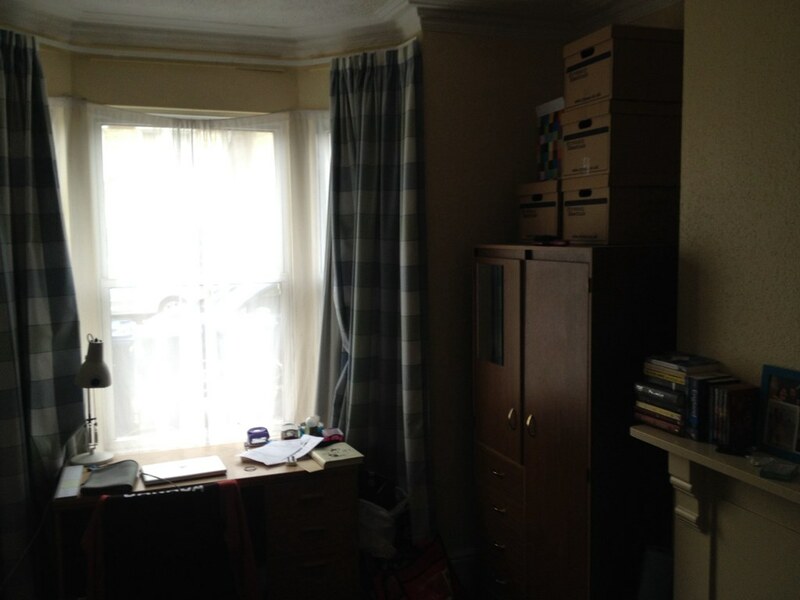 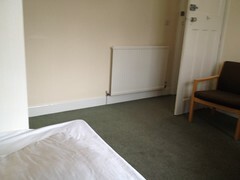 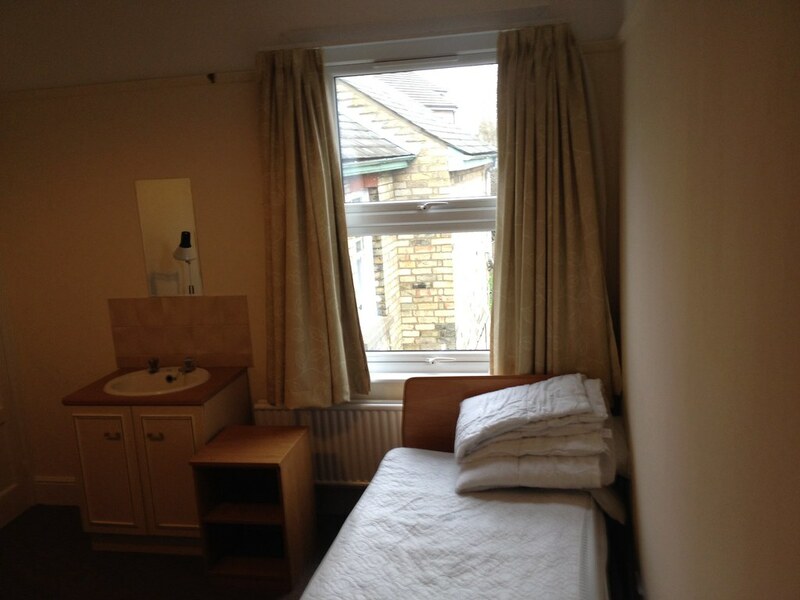 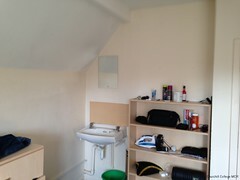 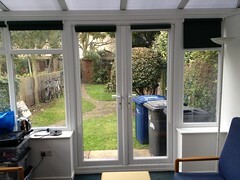 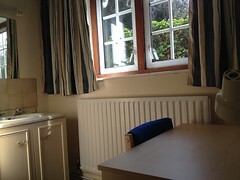 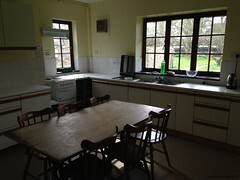 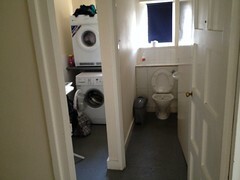 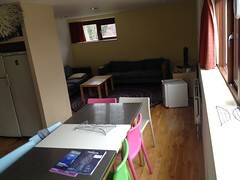 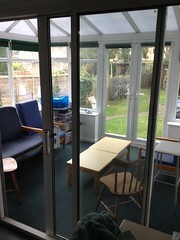 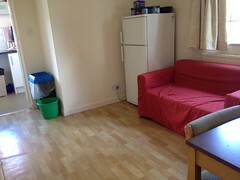 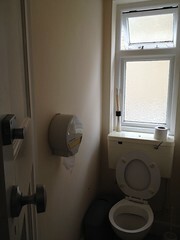 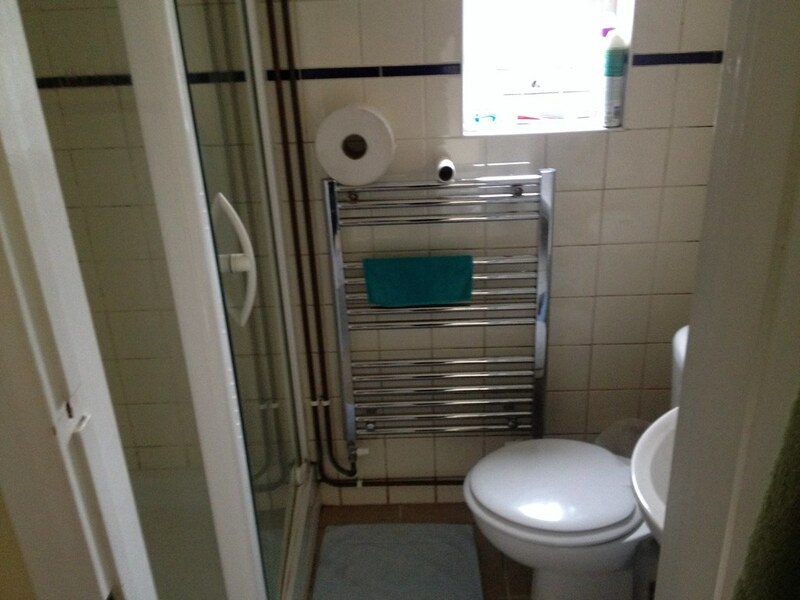 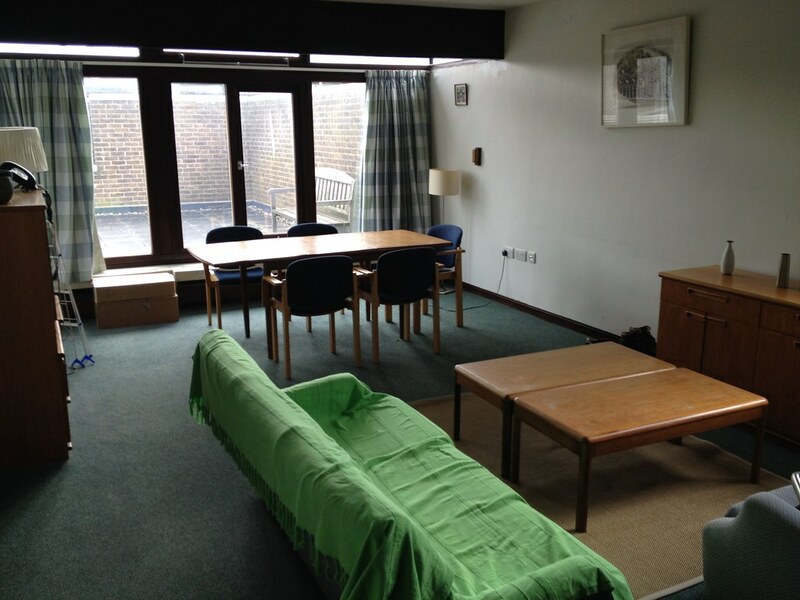 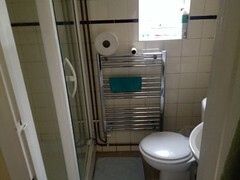 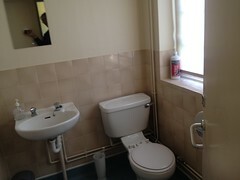 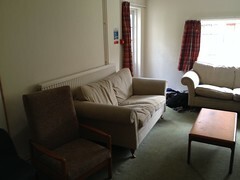 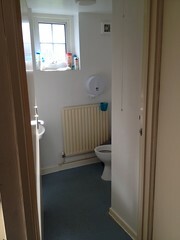 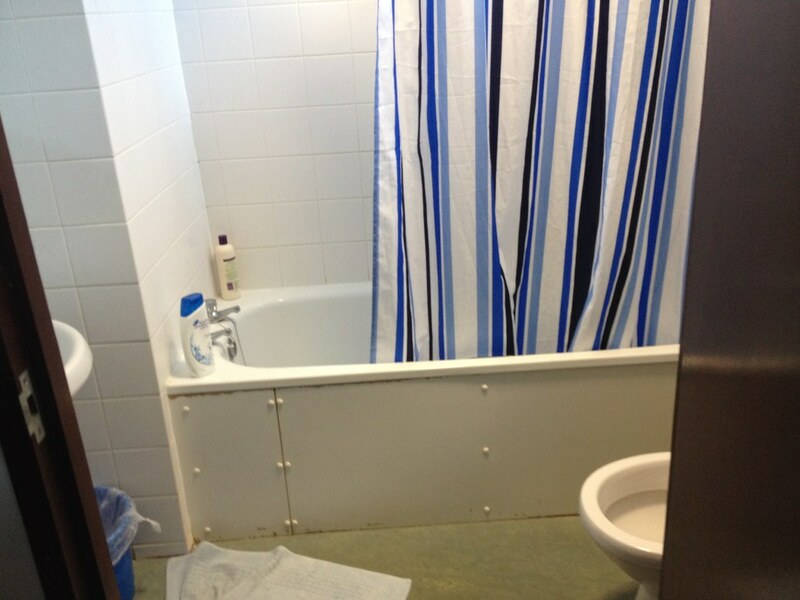 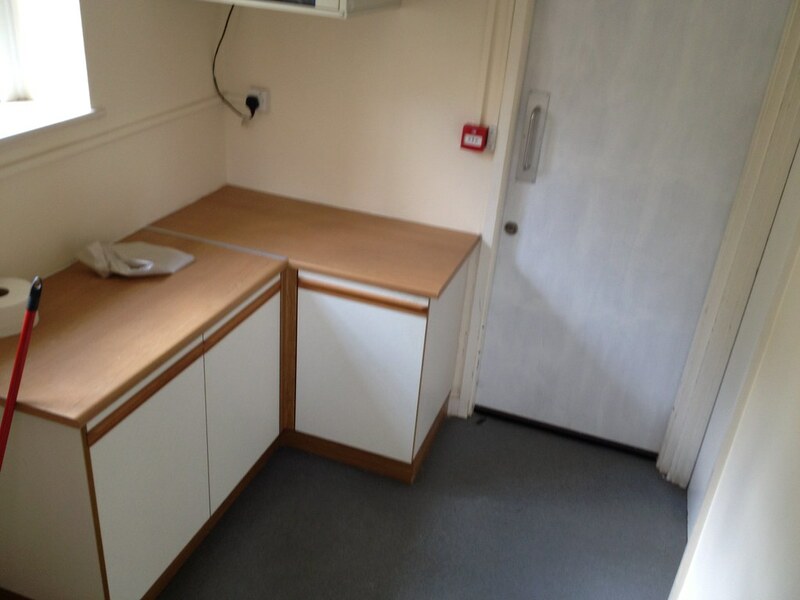 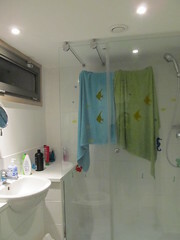 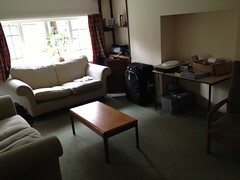 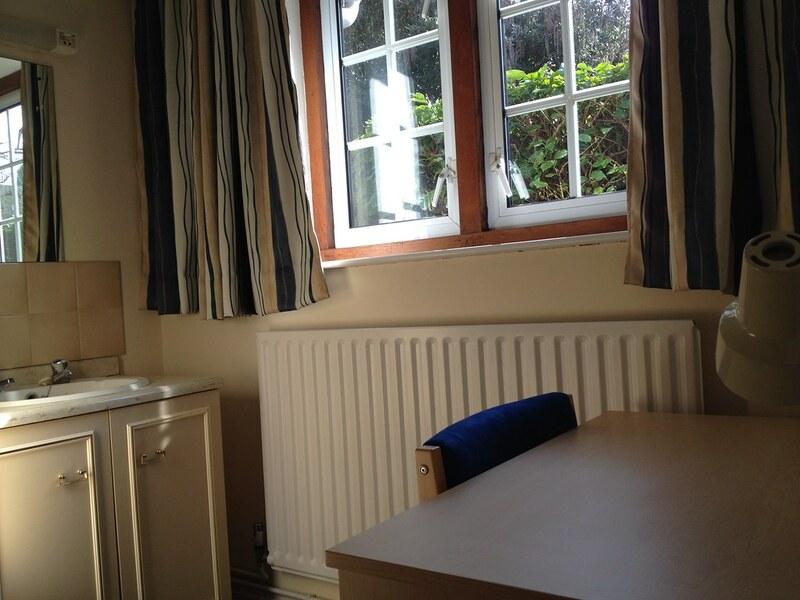 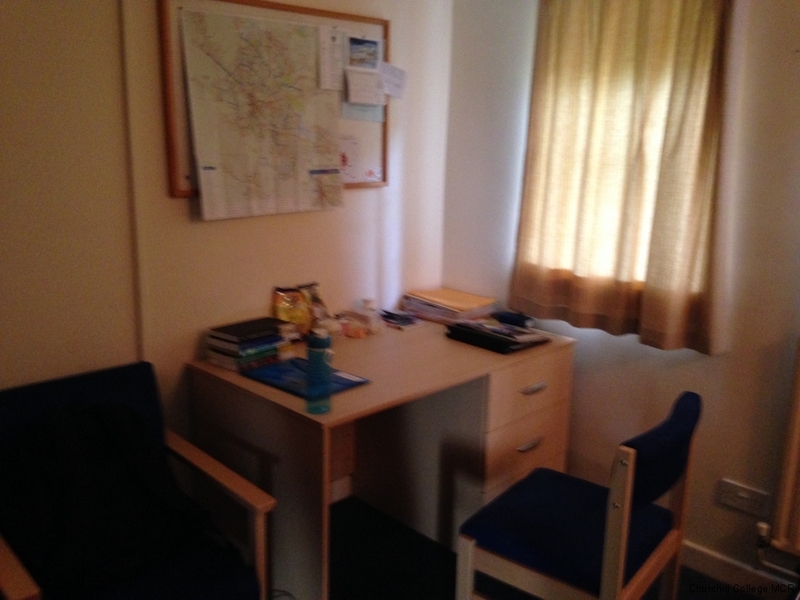 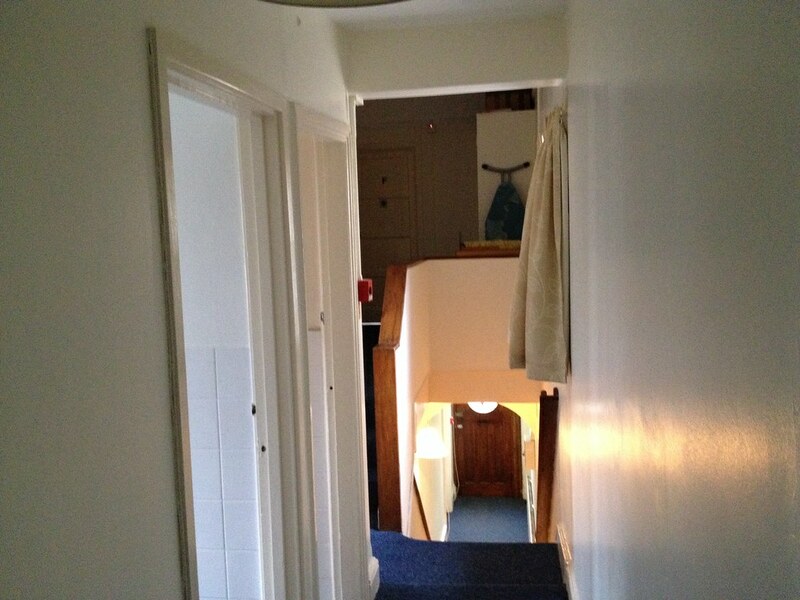 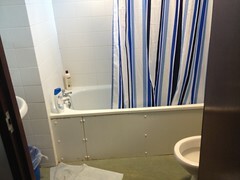 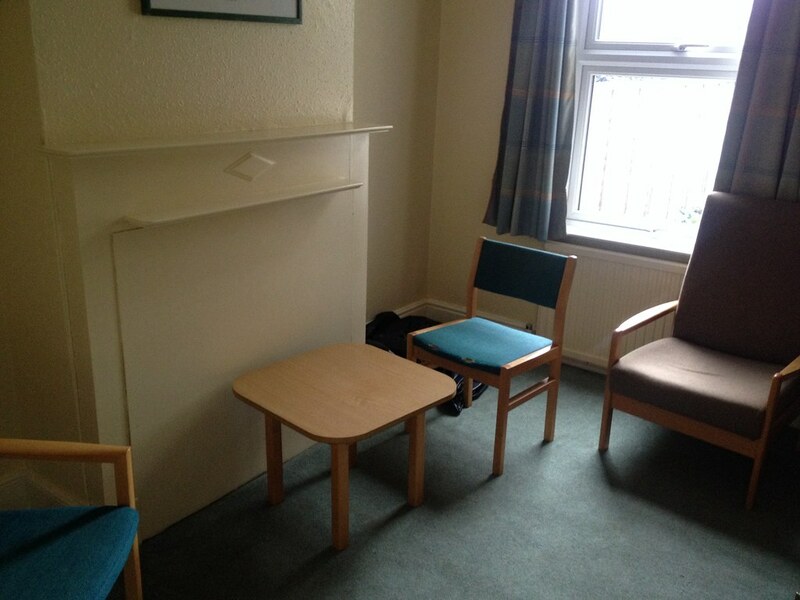 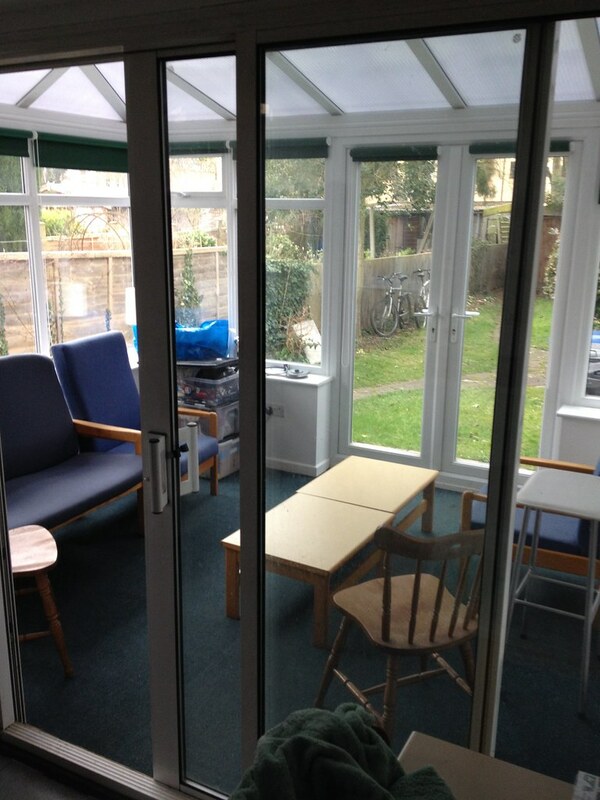 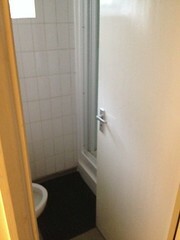 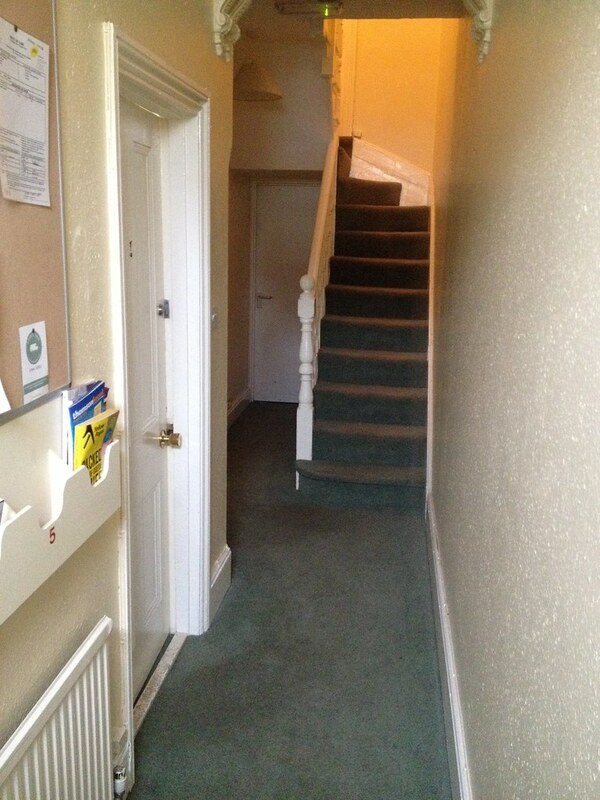 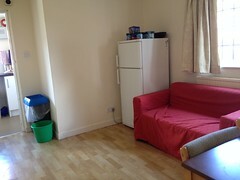 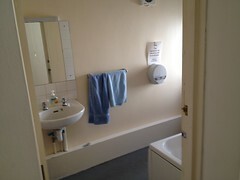 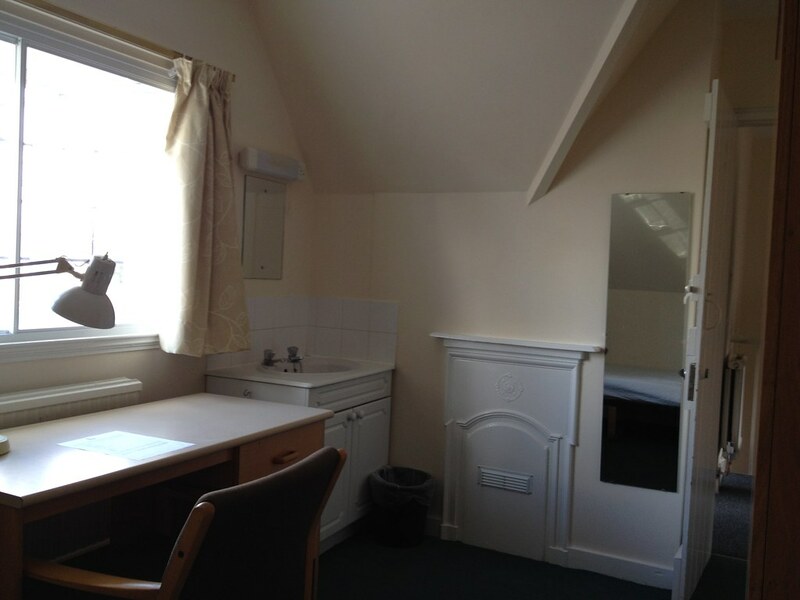 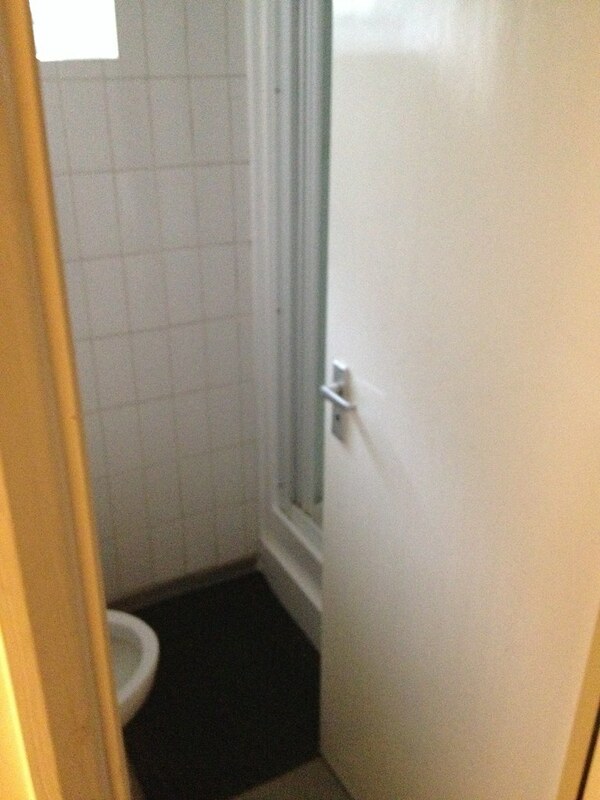 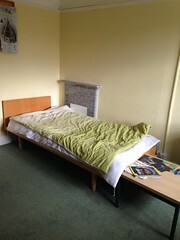 3 rooms only – shared kitchen and nice sitting room – 1 shower with WC plus 1 separate WC. 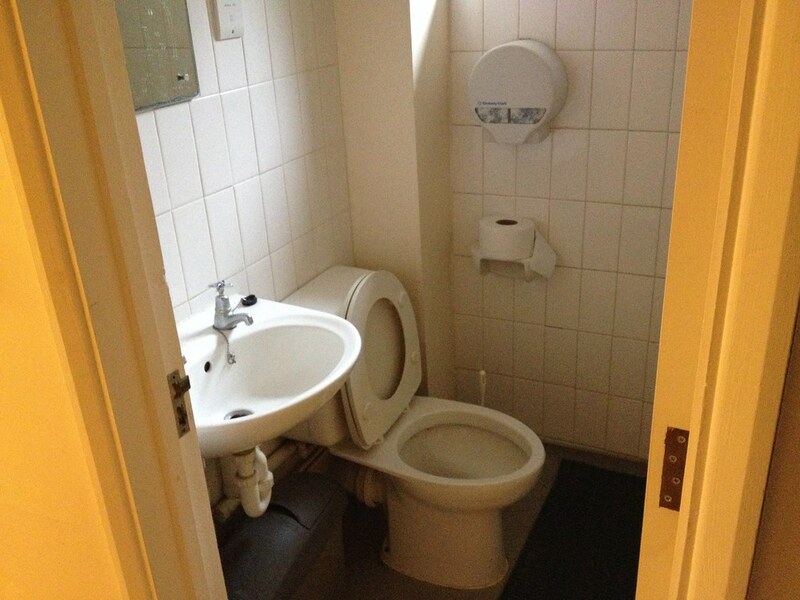 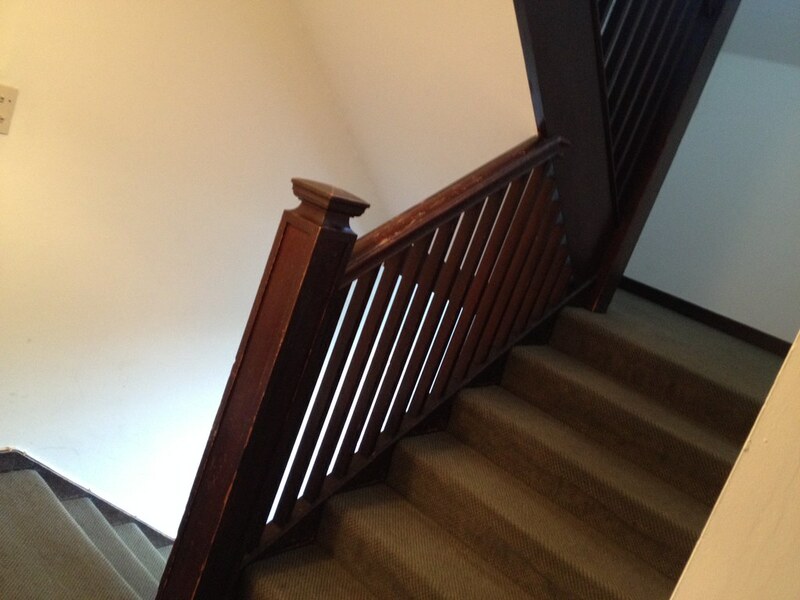 15 rooms (3 floors) – plenty of amenities. 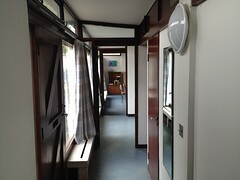 Very newly refurbished – College website has amble pictures (click link above) as they no doubt try to show it off a little. 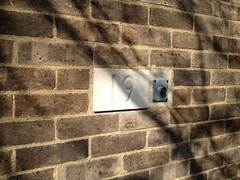 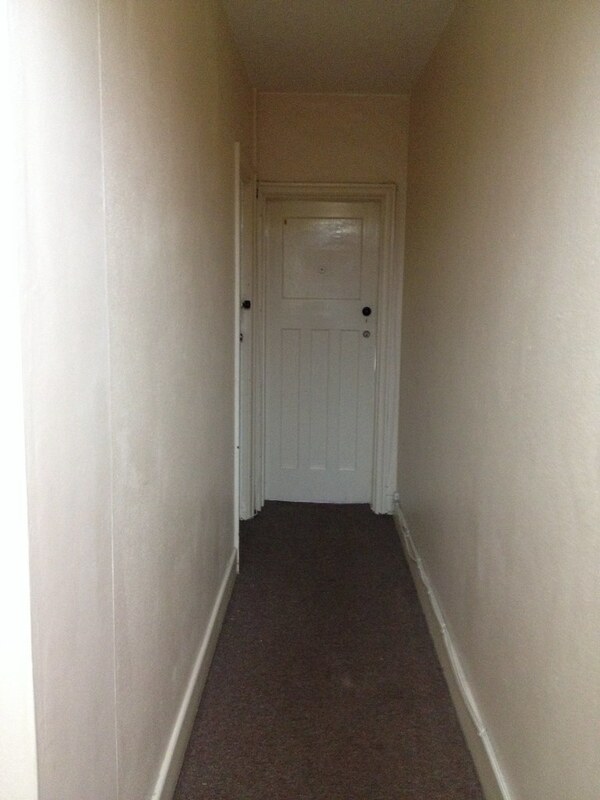 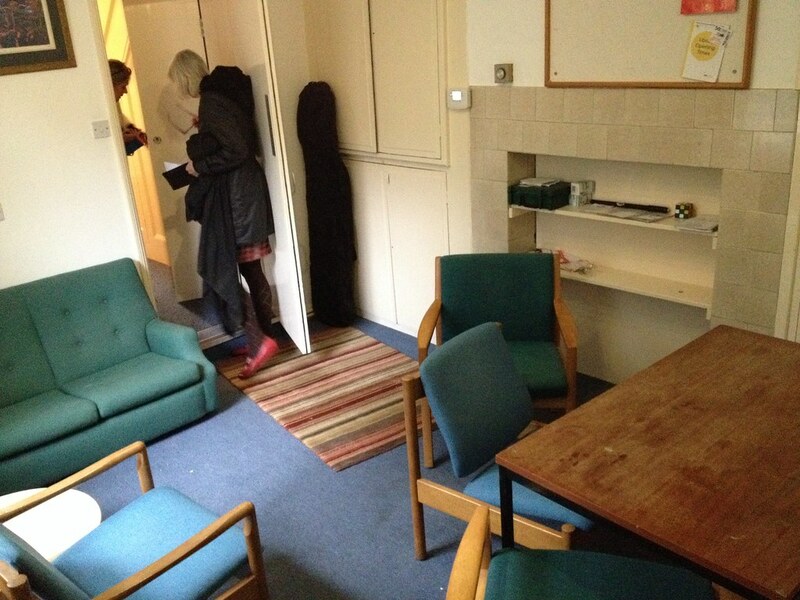 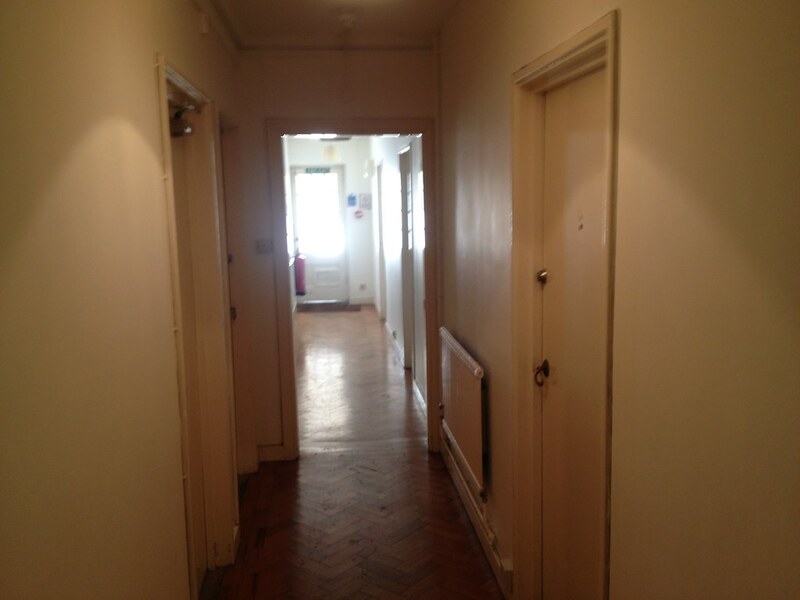 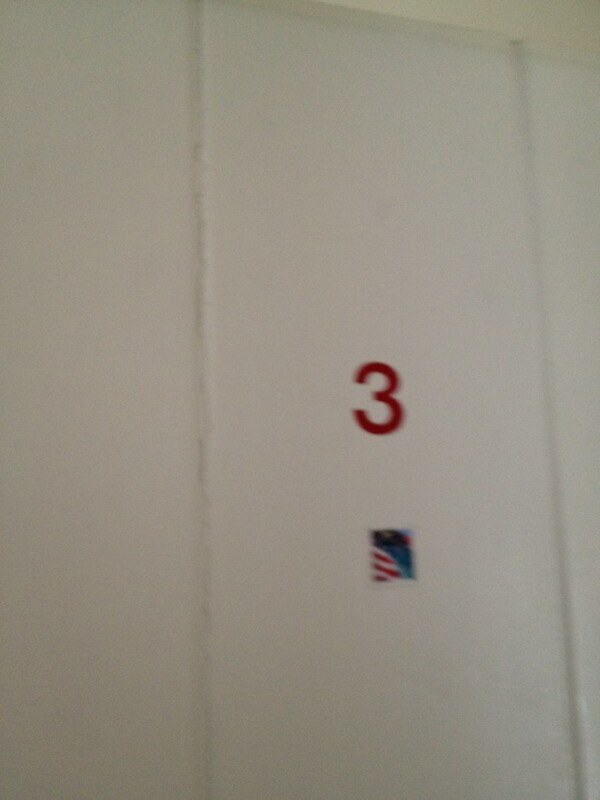 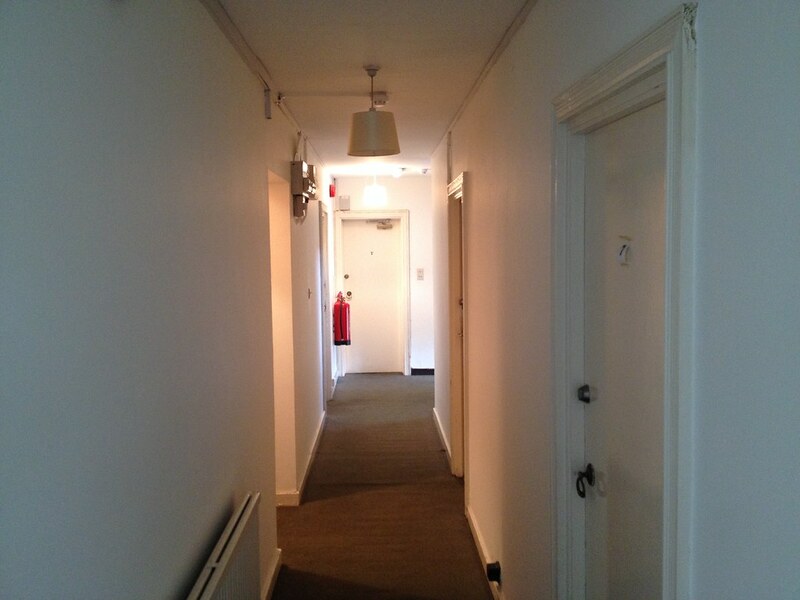 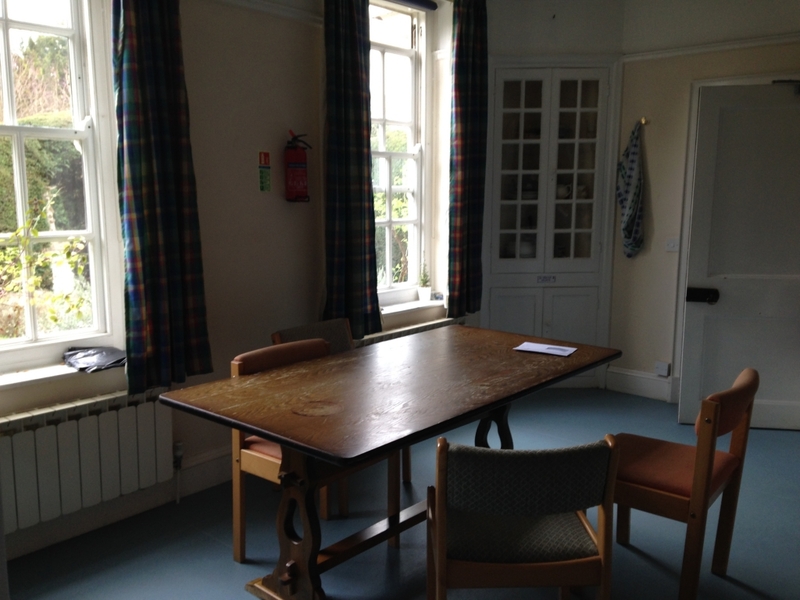 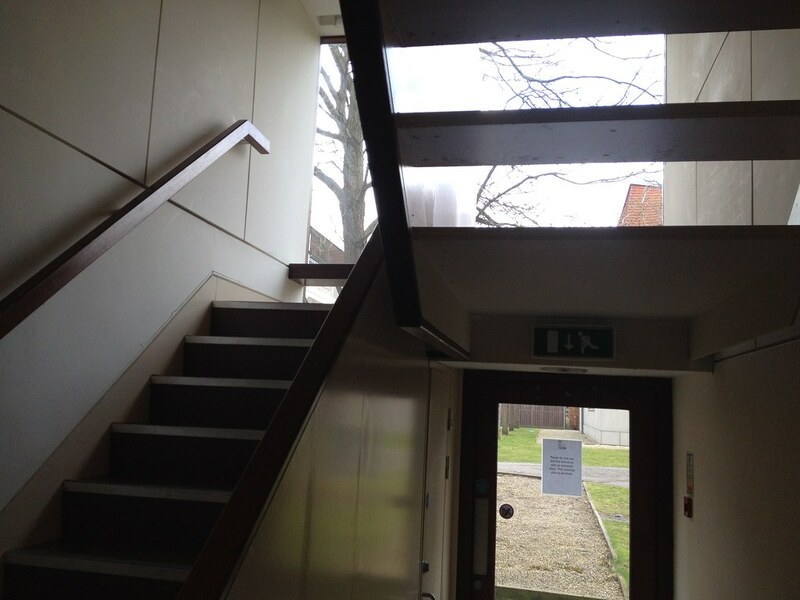 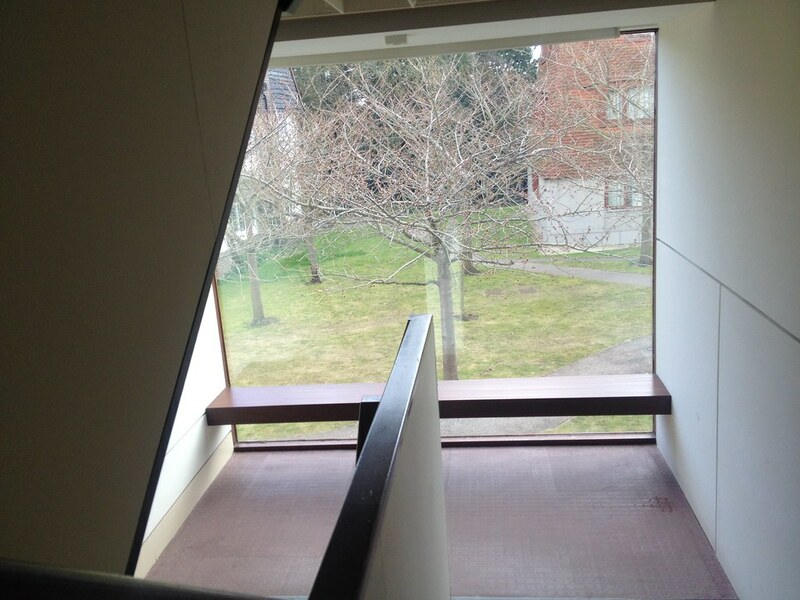 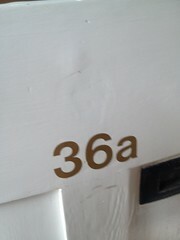 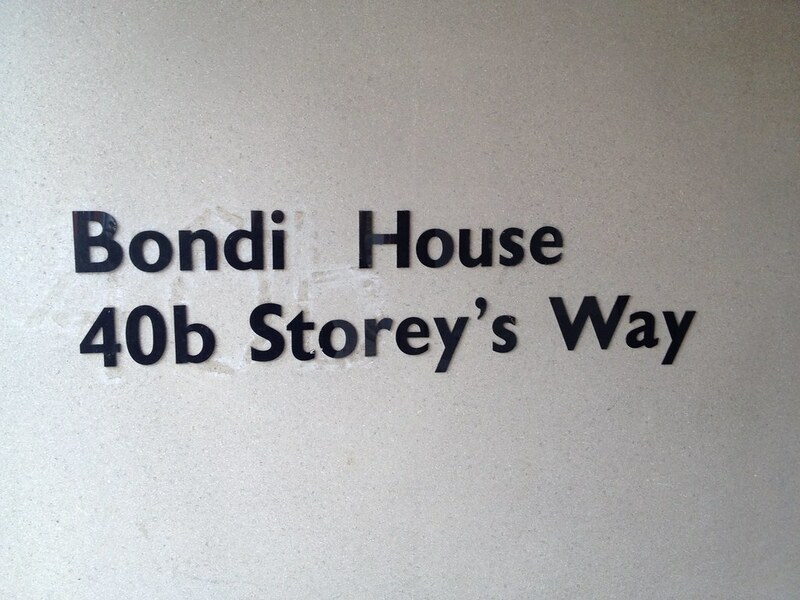 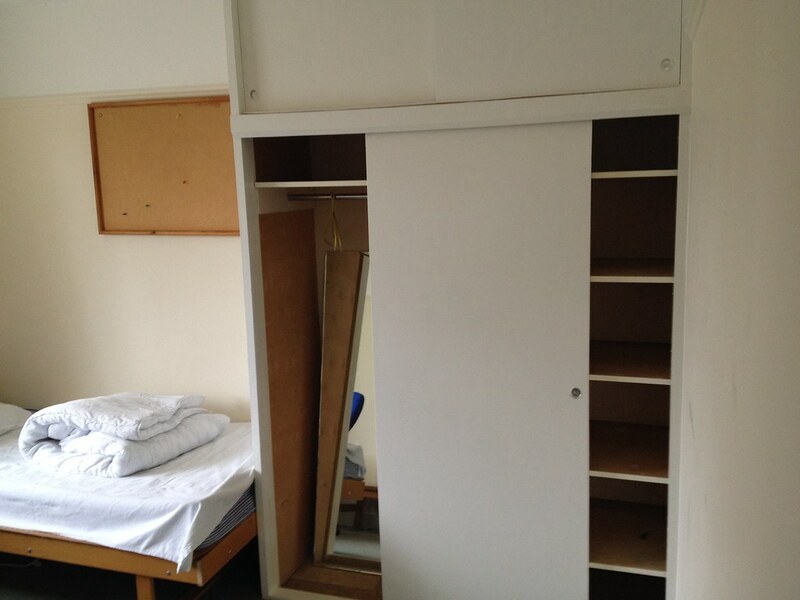 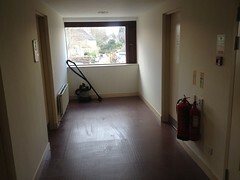 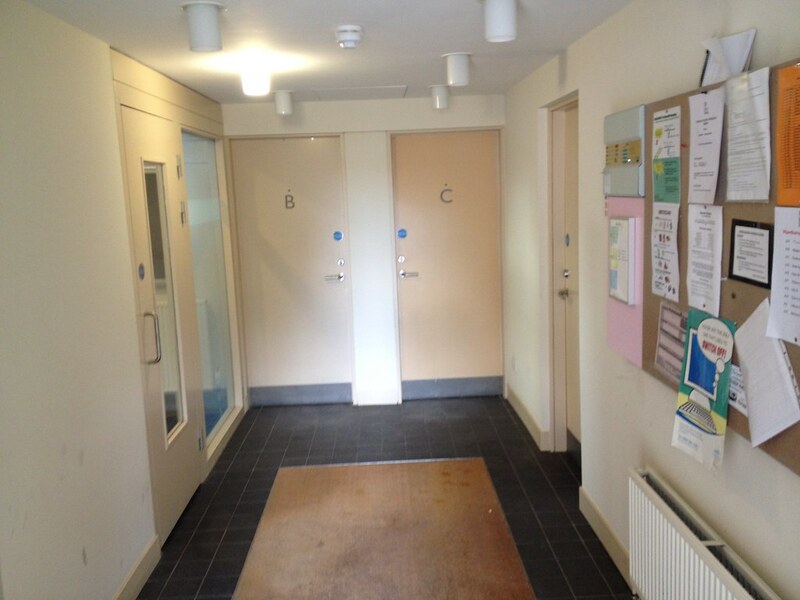 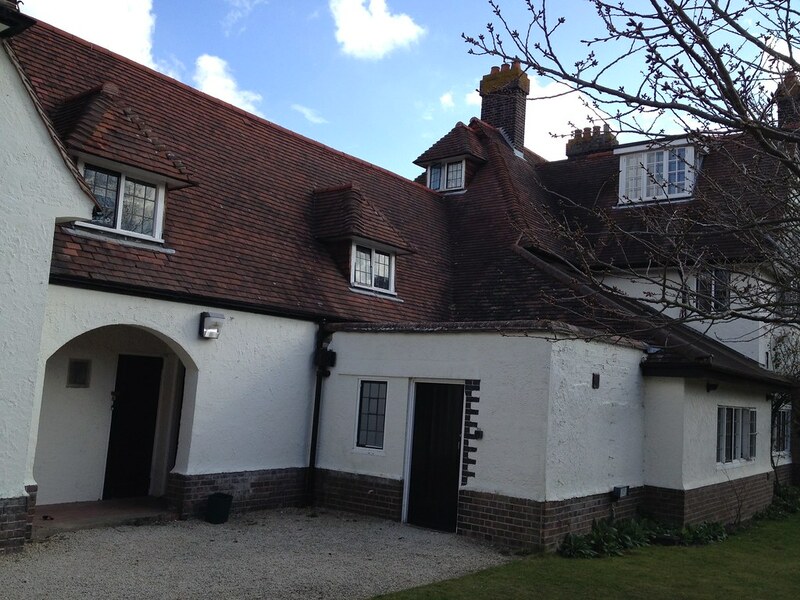 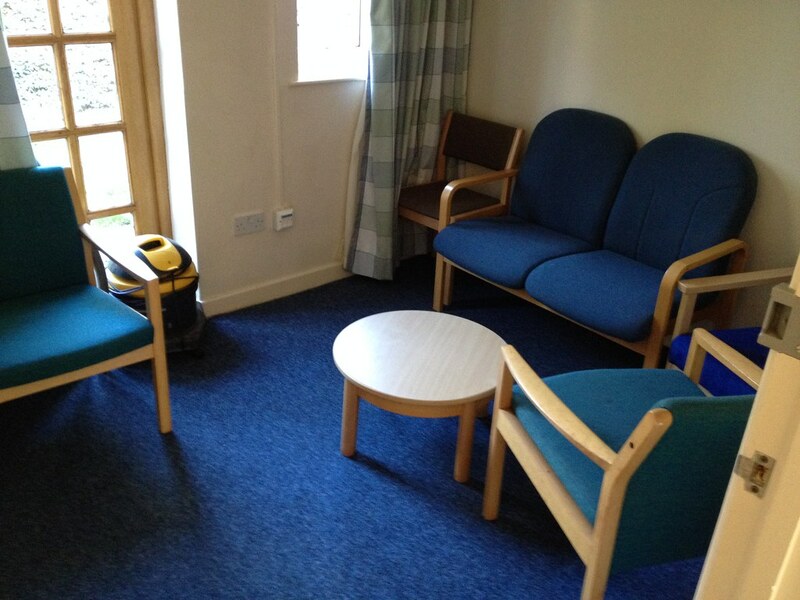 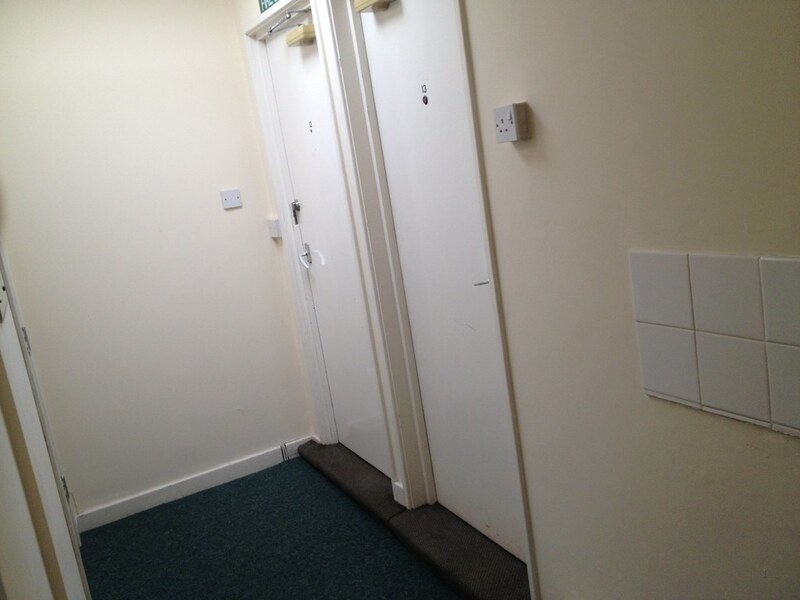 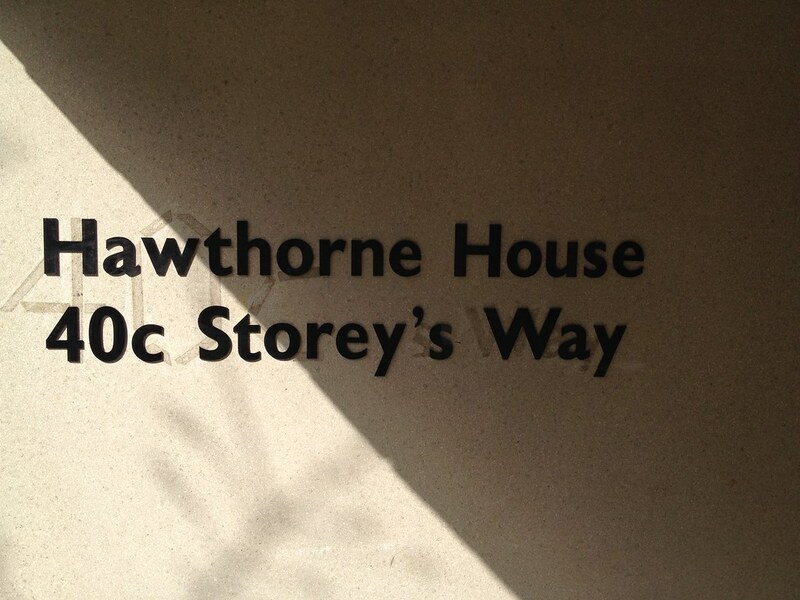 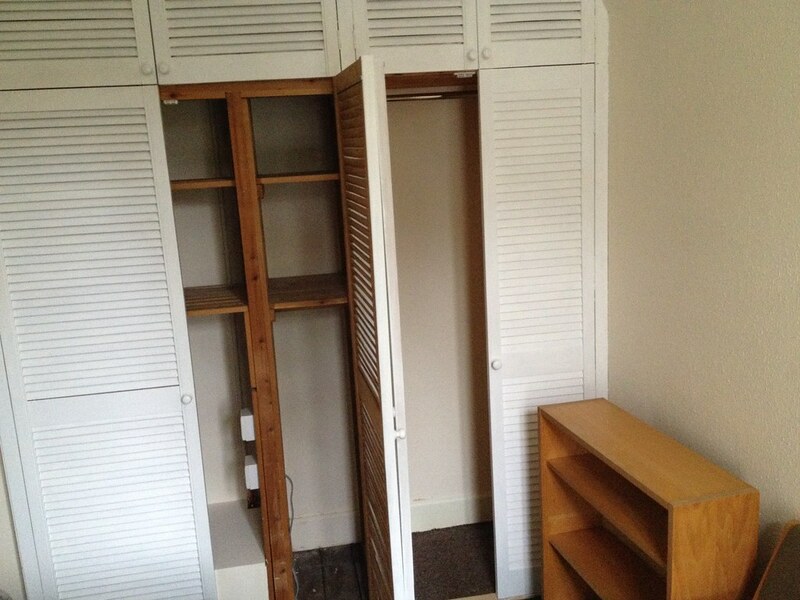 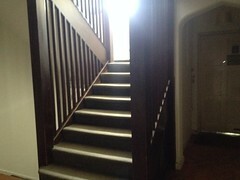 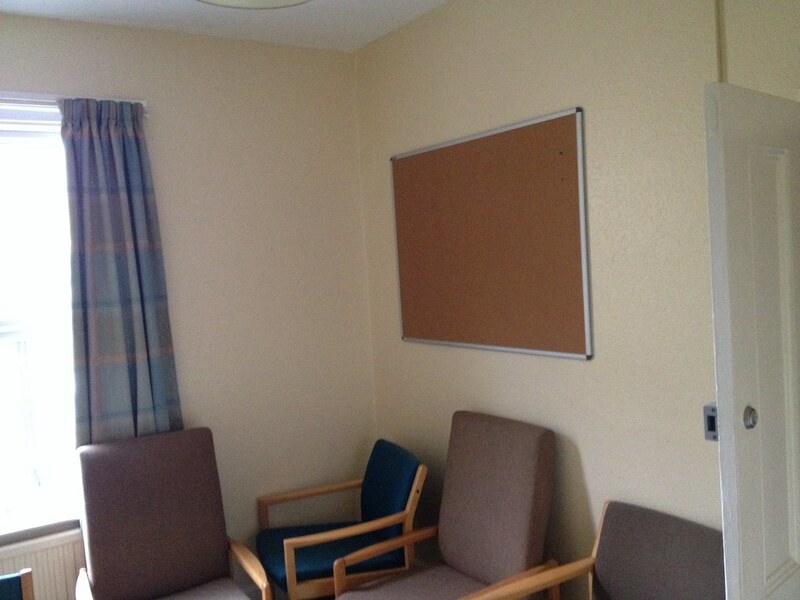 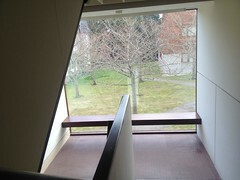 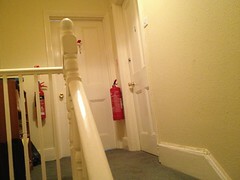 Maisonettes: (Sadly have not managed to get pictures of these rooms to date). 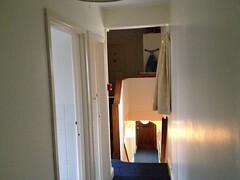 20 two-storey ‘Maisonettes’ ideal for small families and couples. 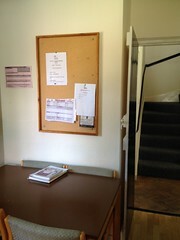 Typically a waiting list for these and applications go directly through the TAS office (Rebecca mainly). Each maisonette faces onto the communal playground, very friendly environment and the houses have recently been refurbished. 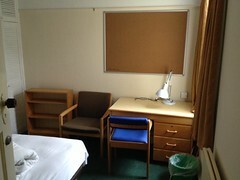 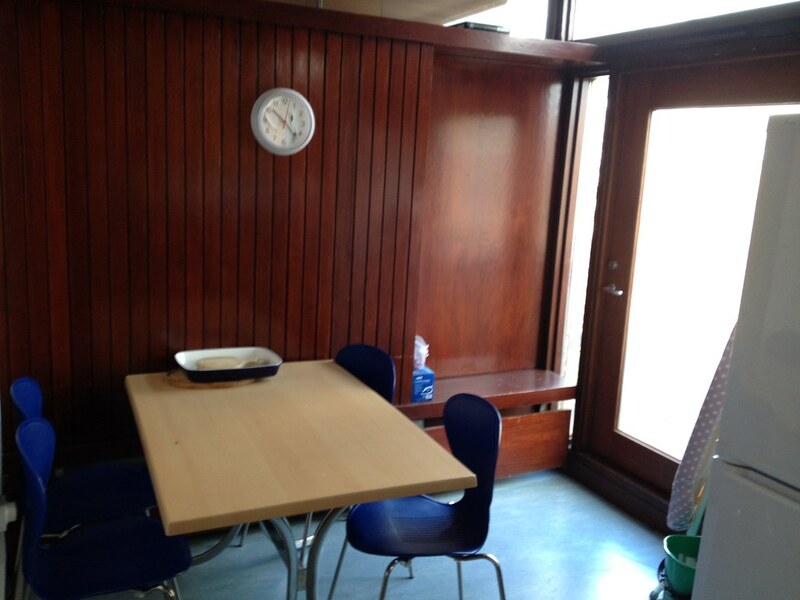 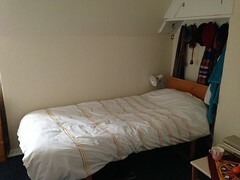 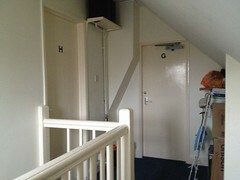 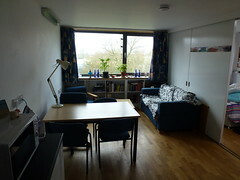 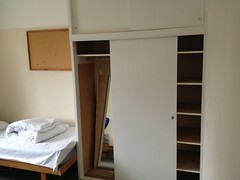 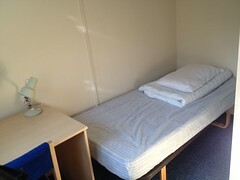 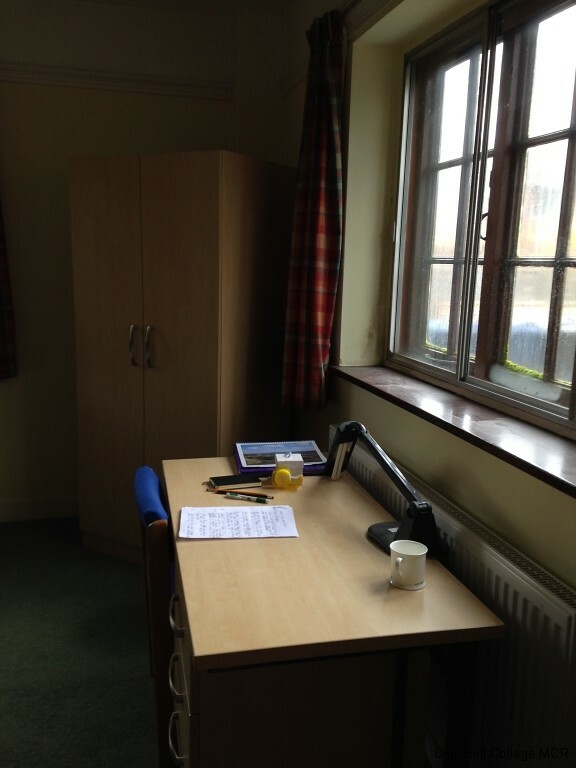 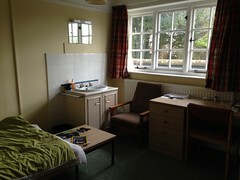 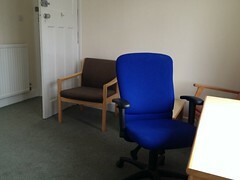 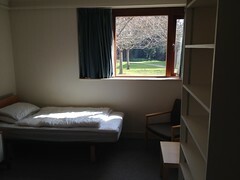 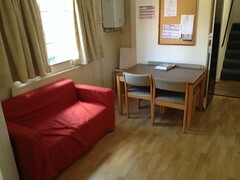 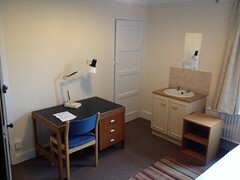 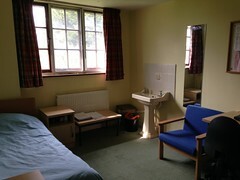 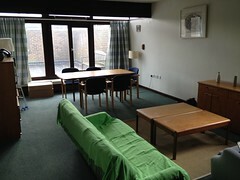 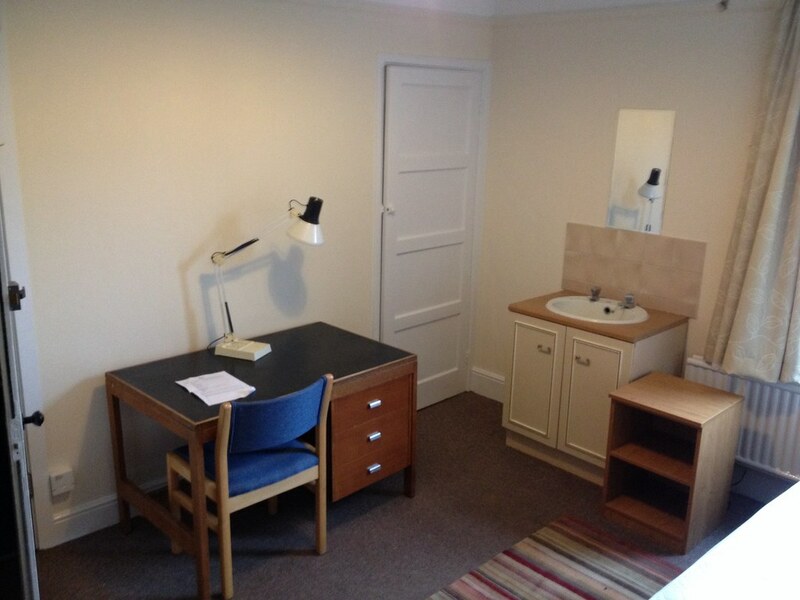 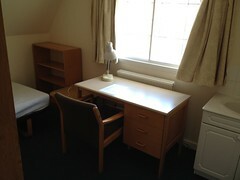 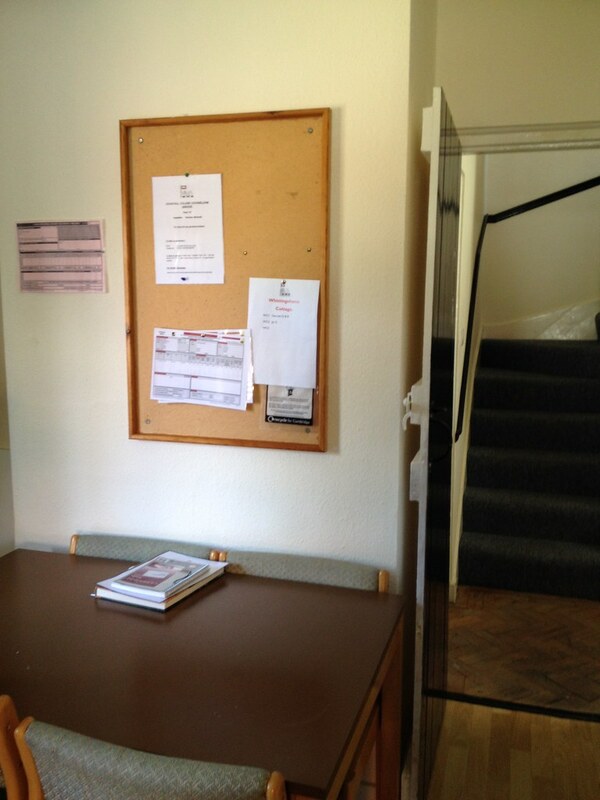 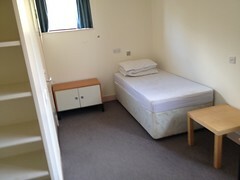 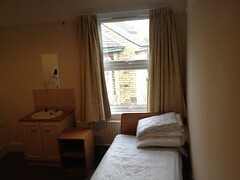 20 en-suit rooms ideal for couples (top floor above the maisonettes), applications also go through the TAS office. The below map shows approximate locations of the hostels. 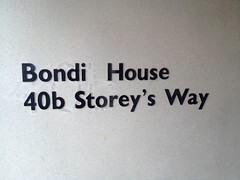 Please note that 49 and 53 Oxford Road have the same pin, and the big red arrow gives instructions to find 25 Rock Road.